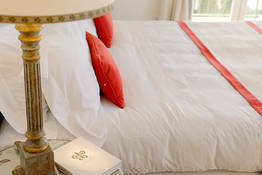 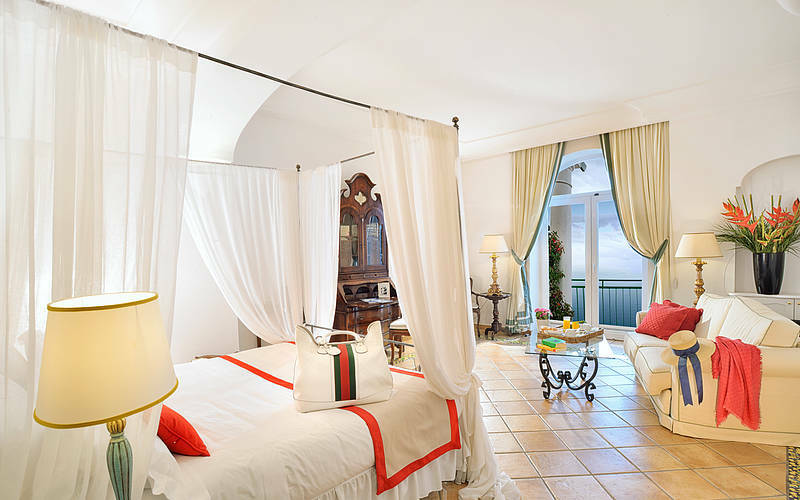 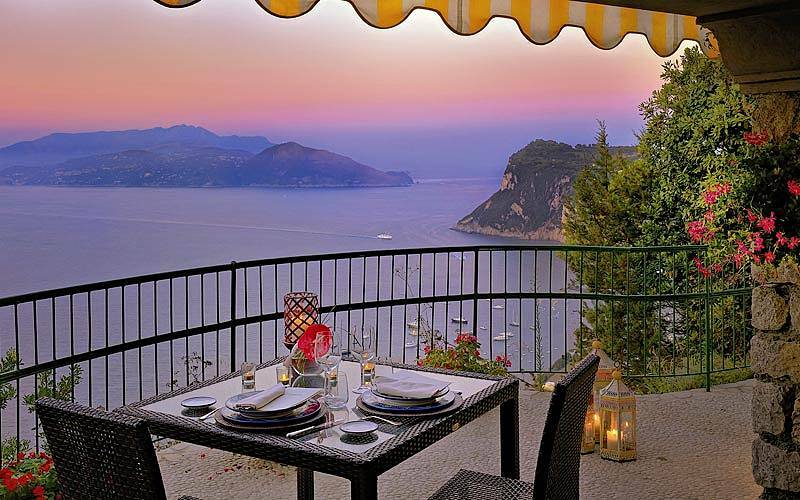 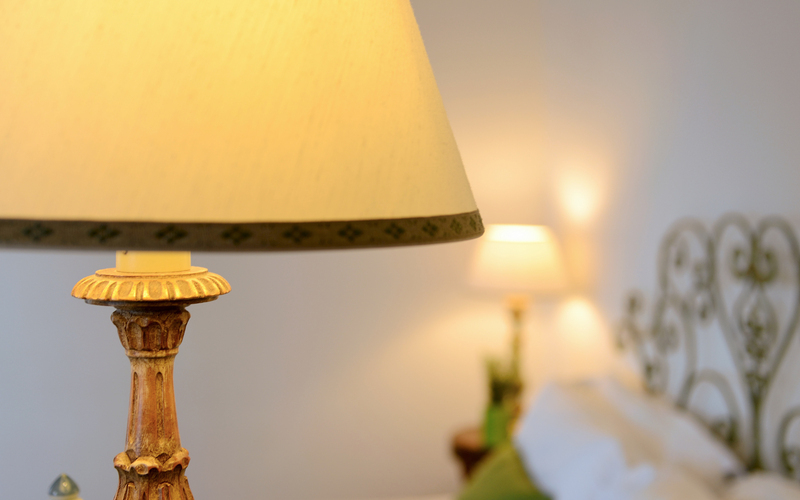 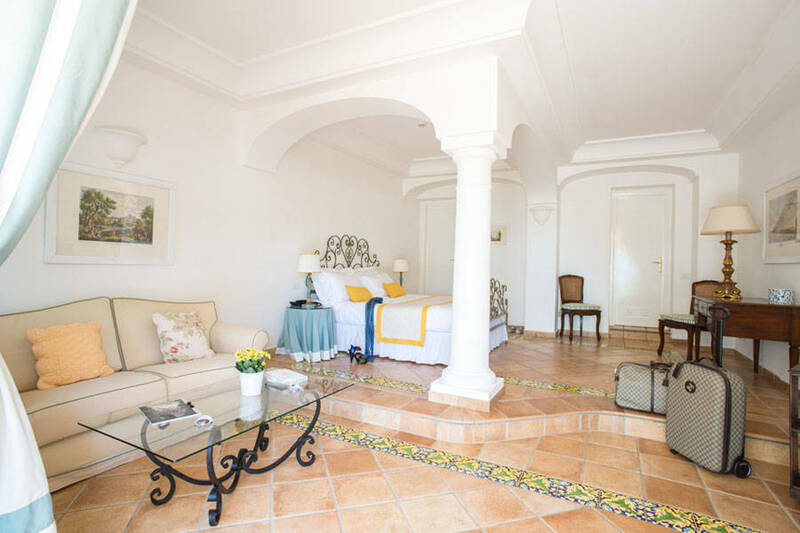 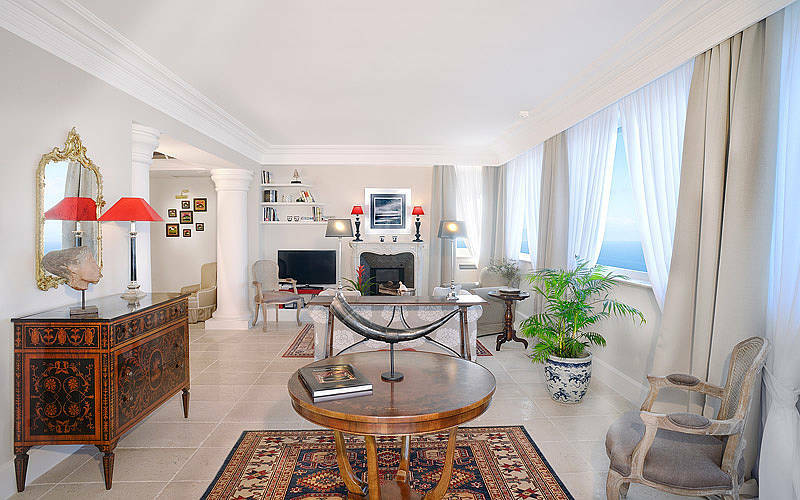 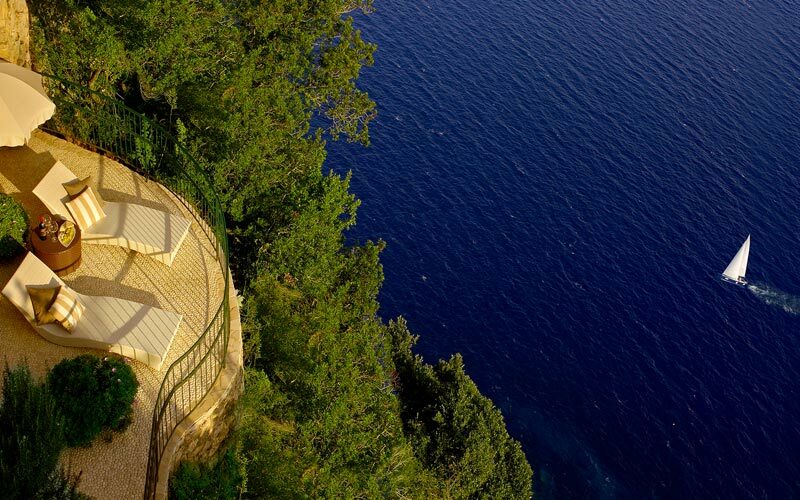 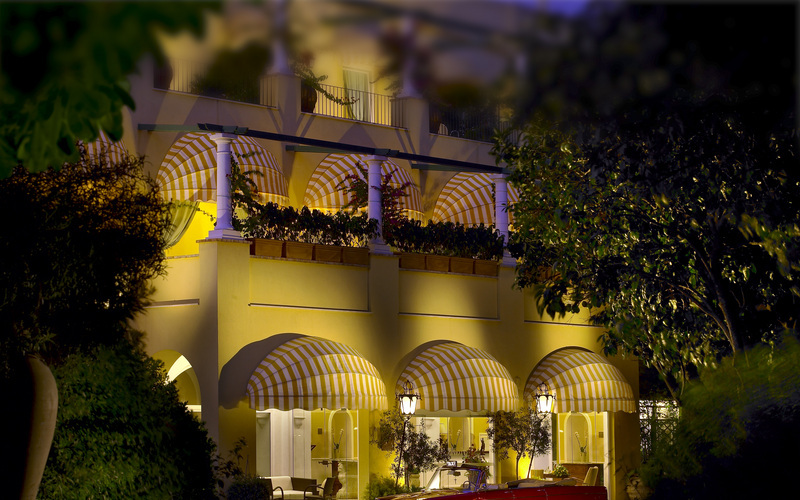 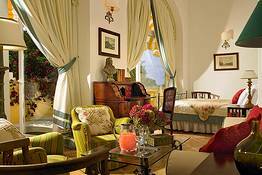 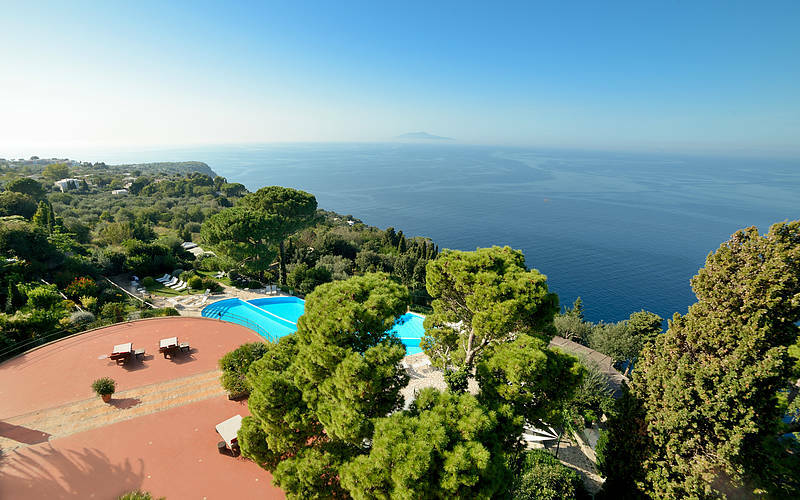 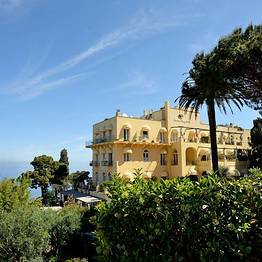 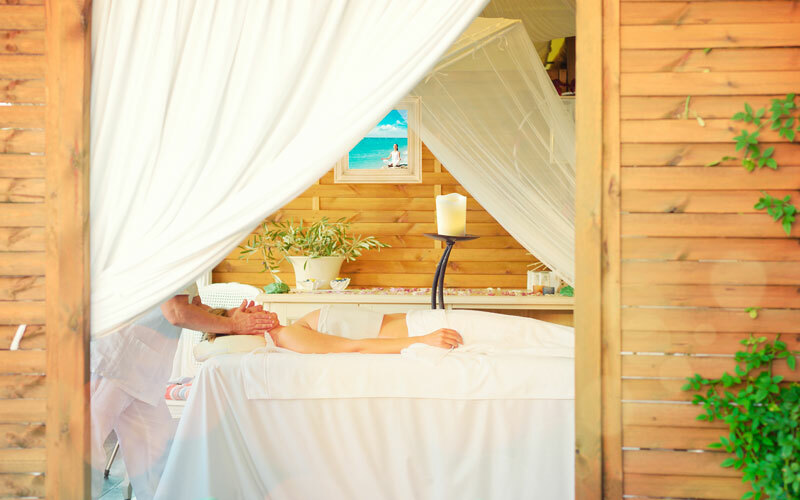 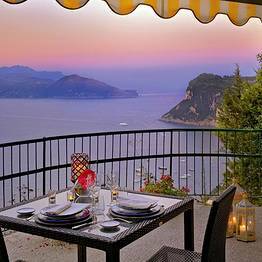 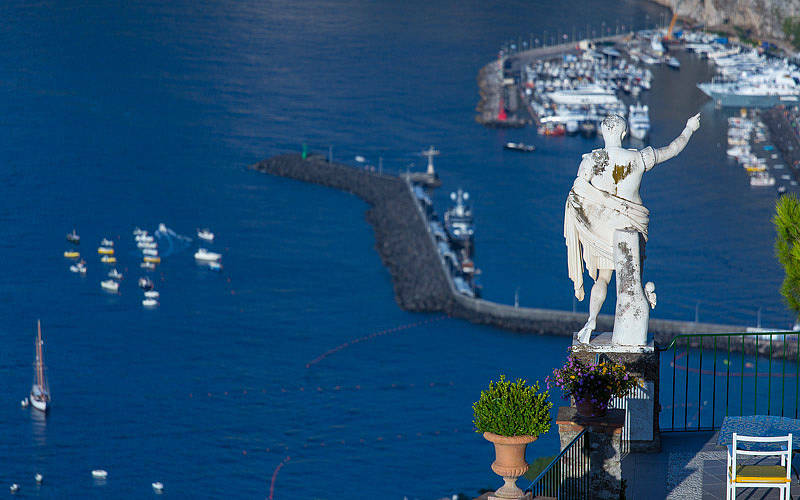 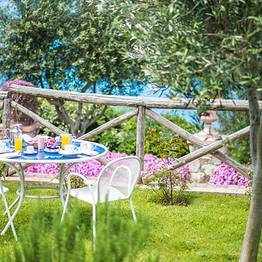 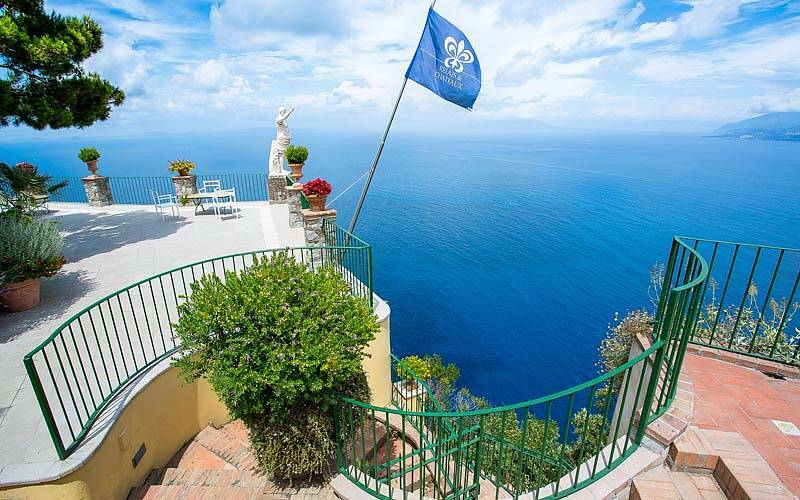 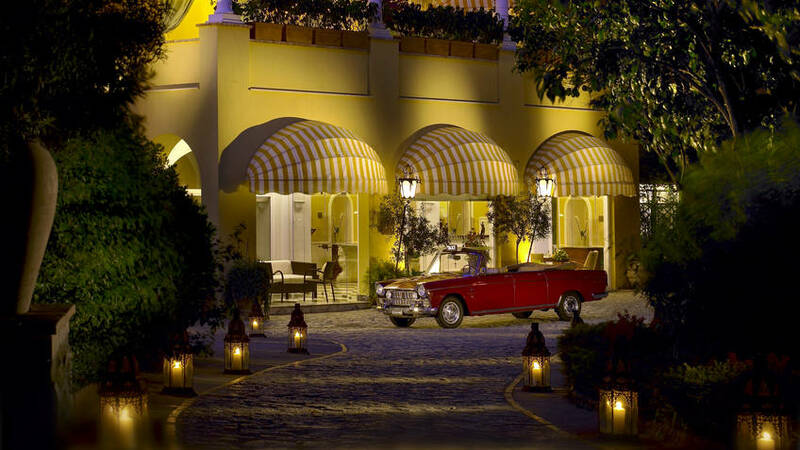 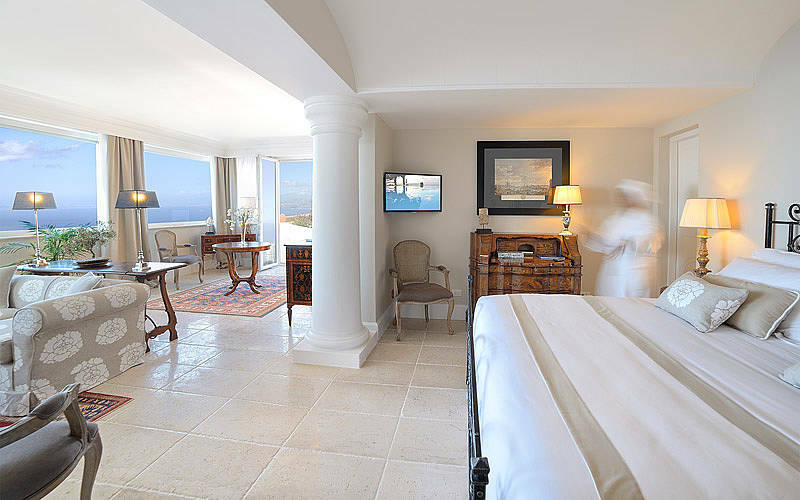 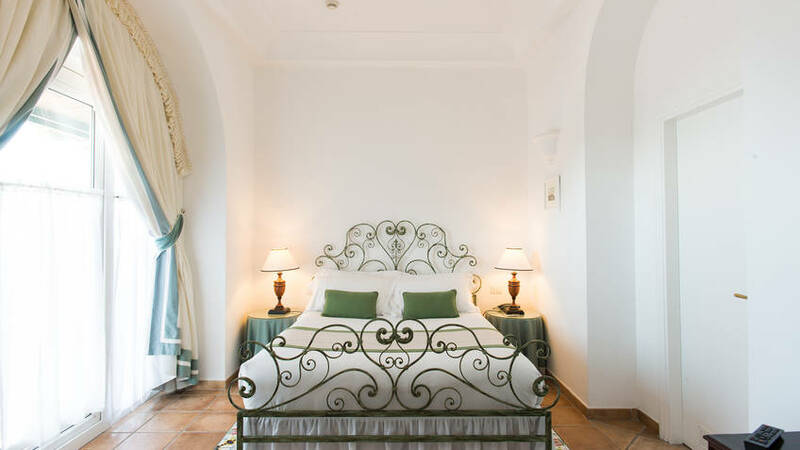 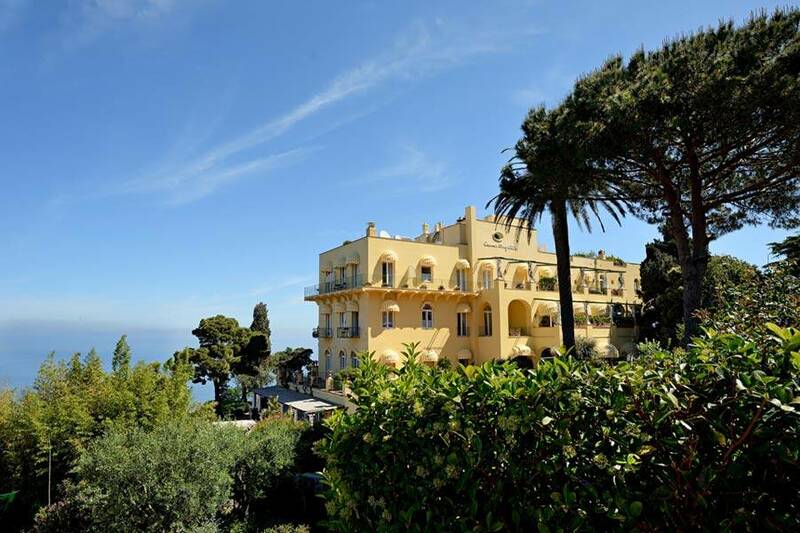 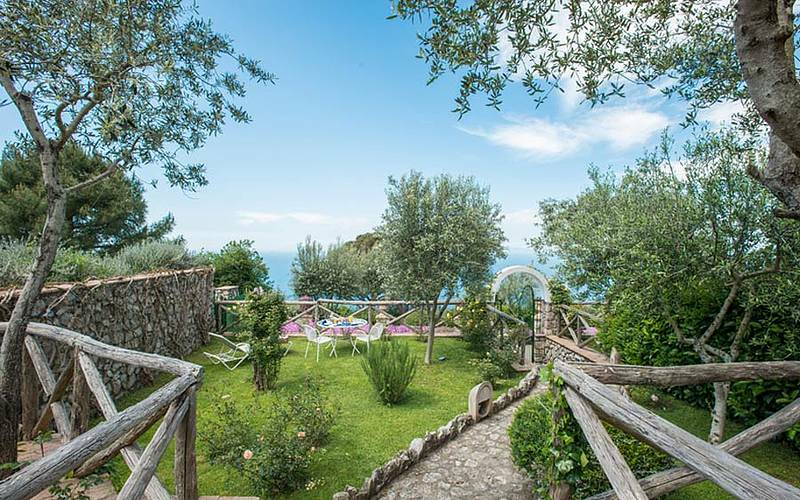 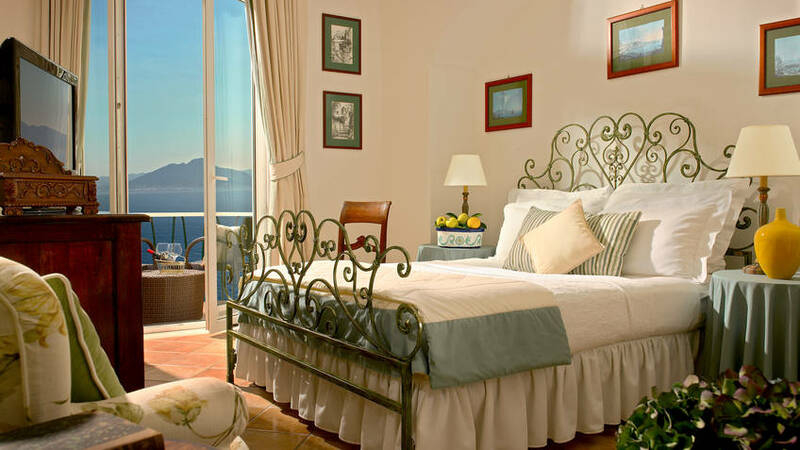 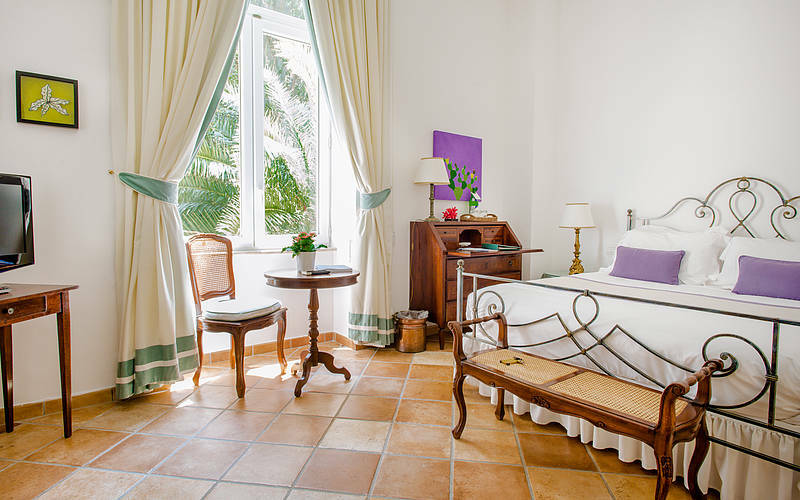 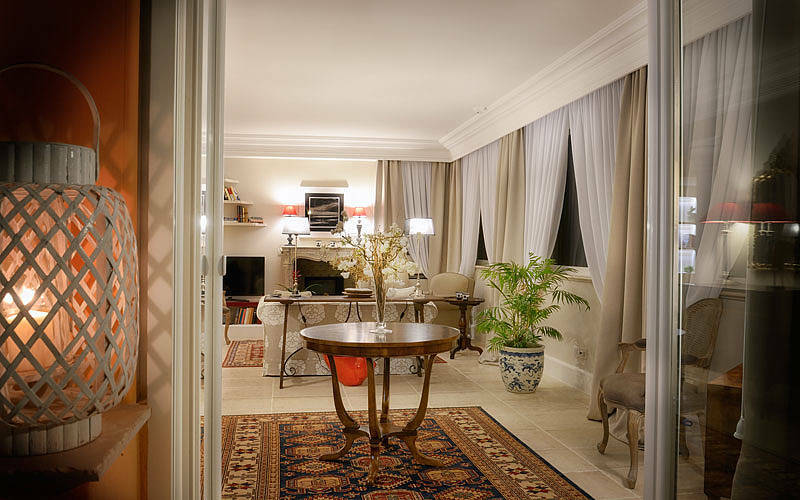 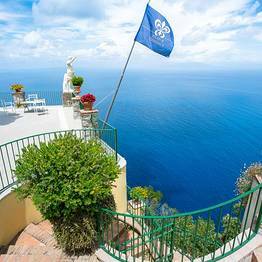 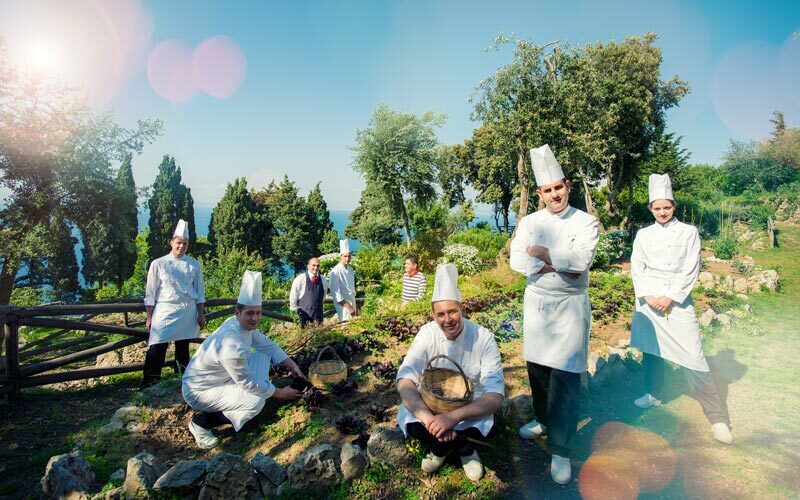 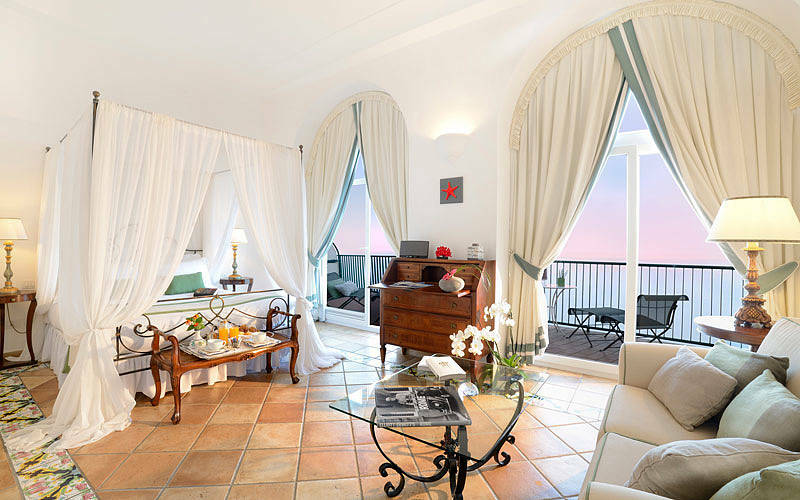 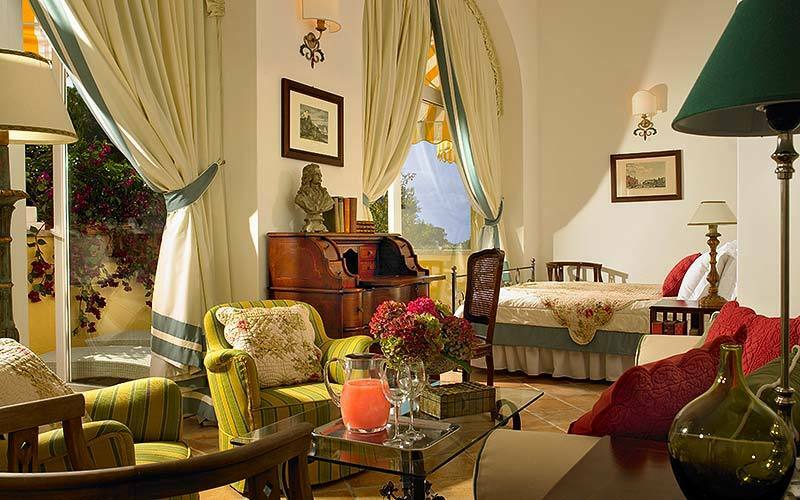 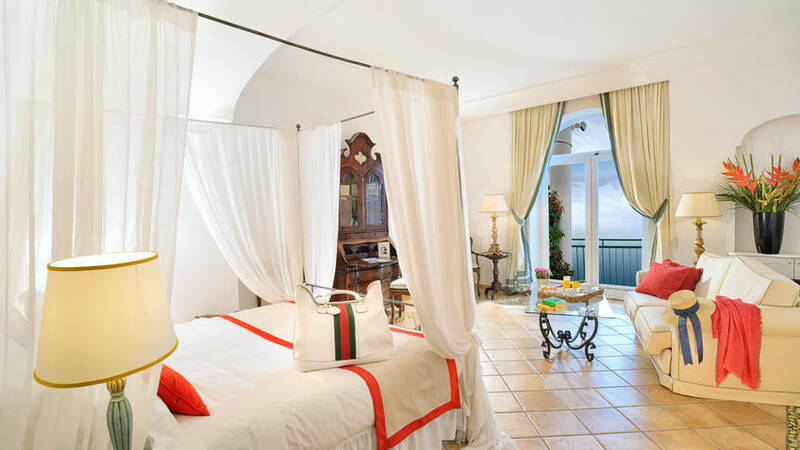 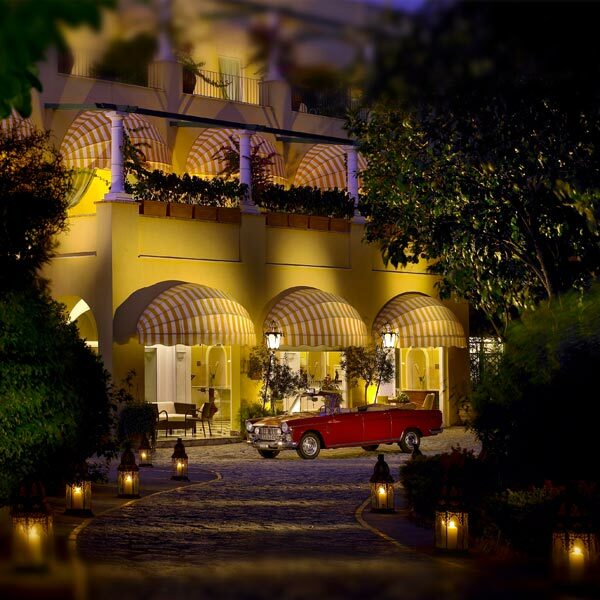 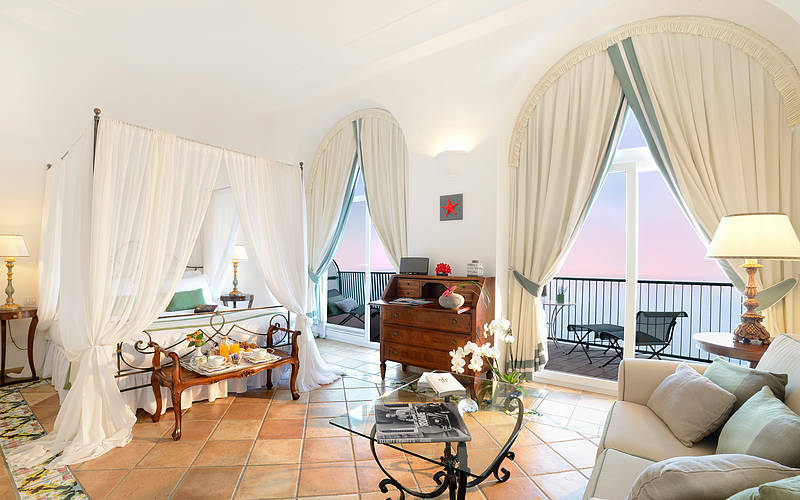 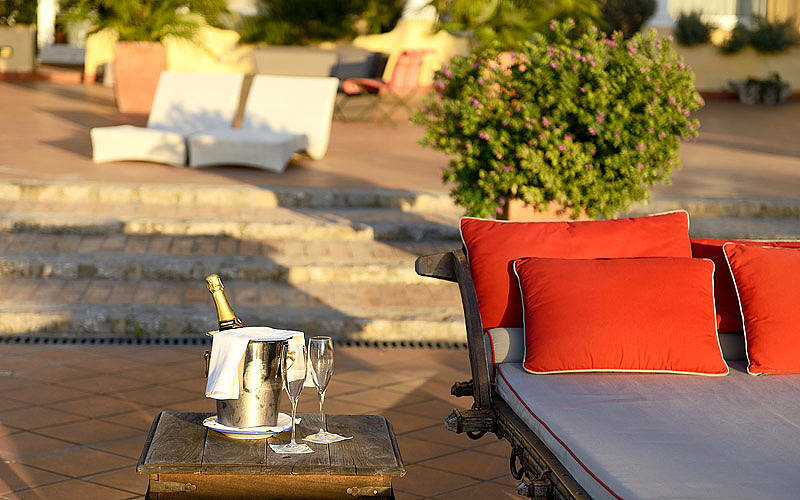 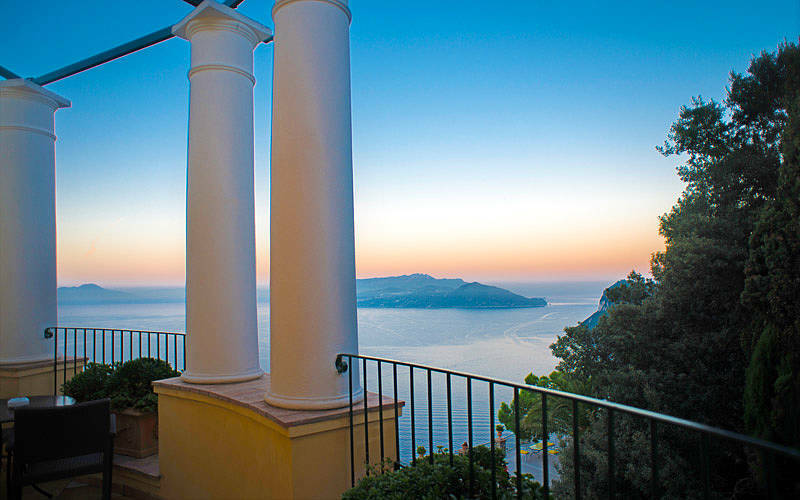 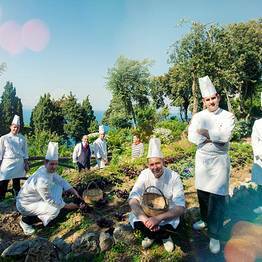 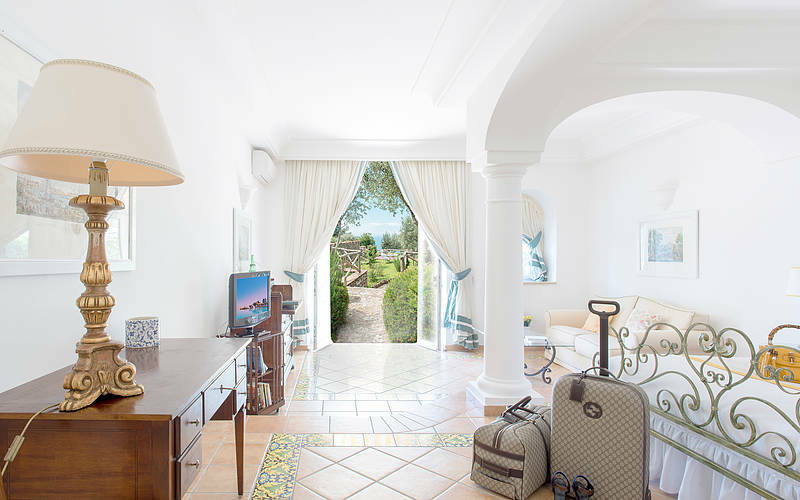 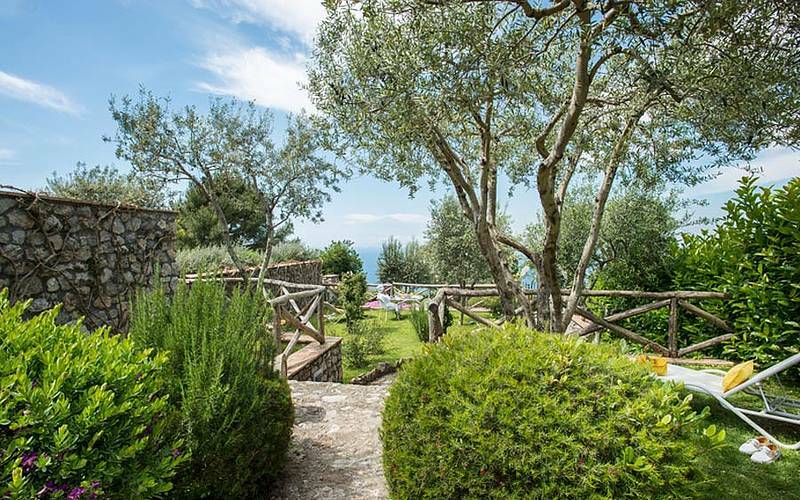 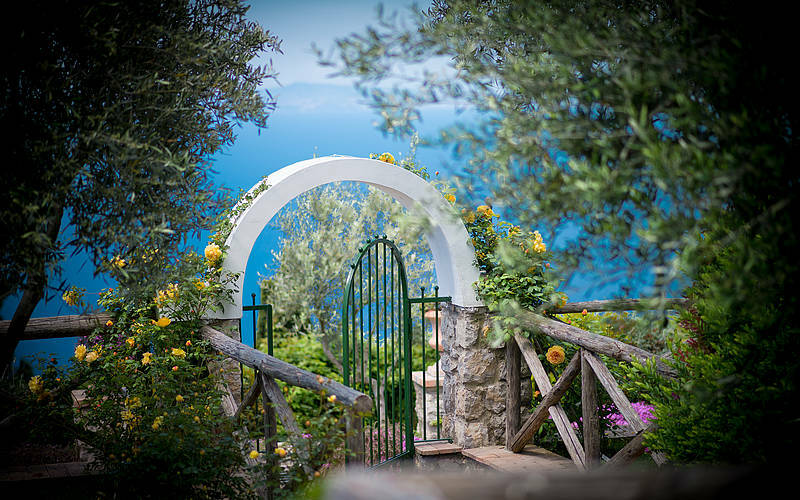 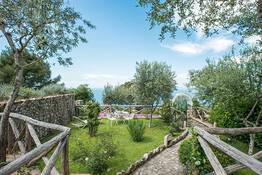 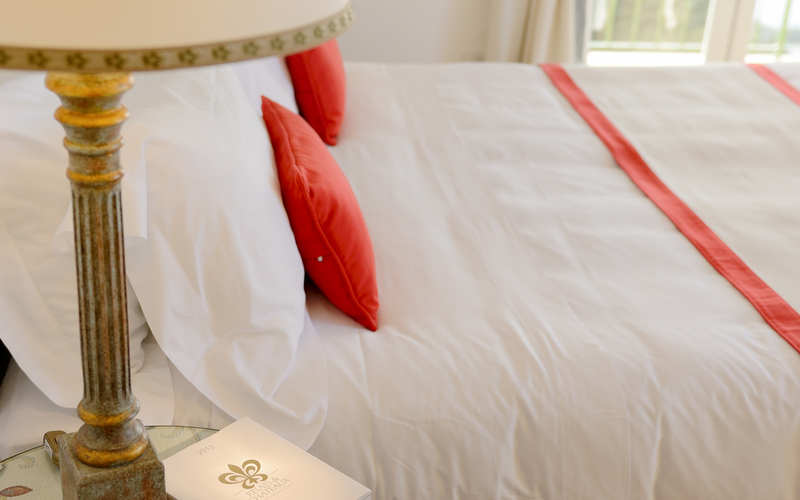 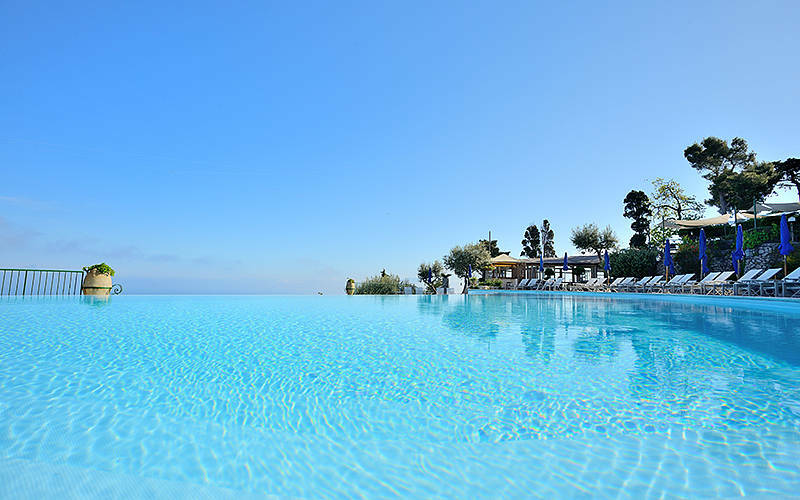 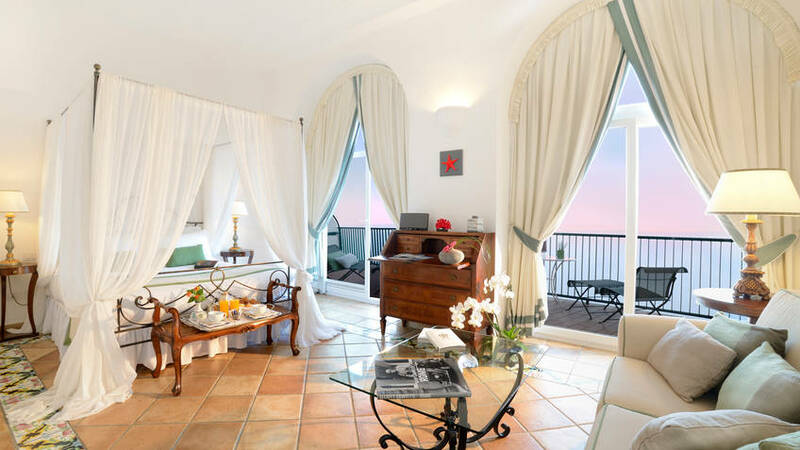 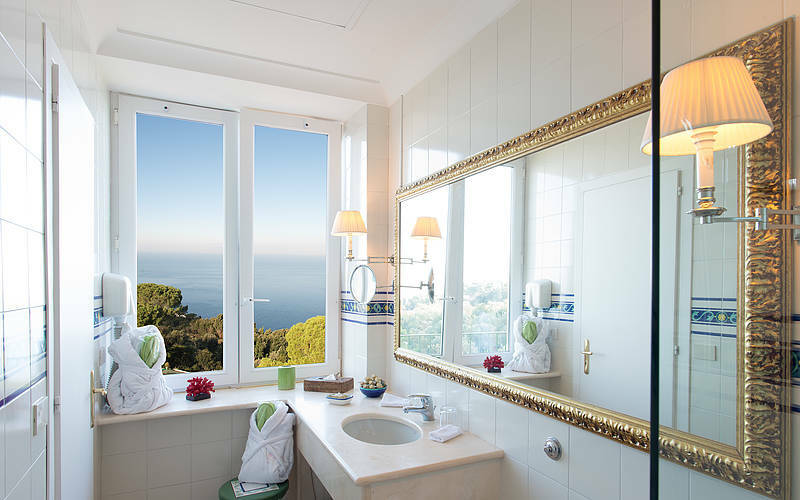 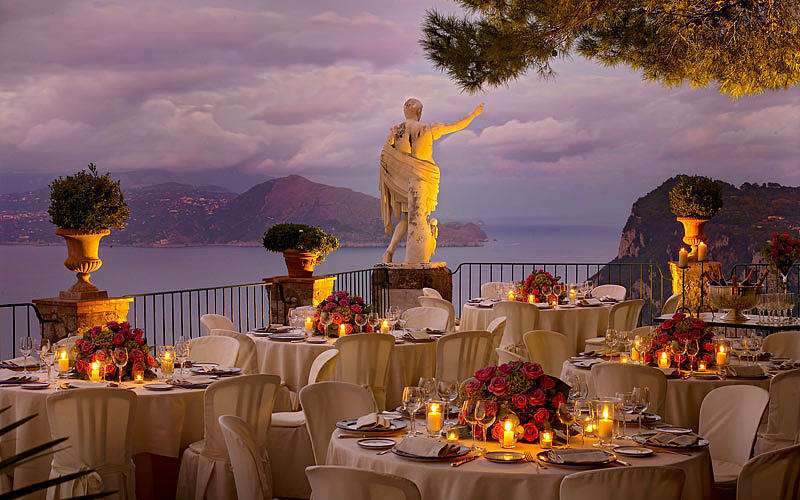 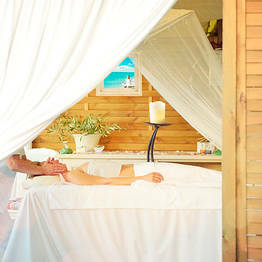 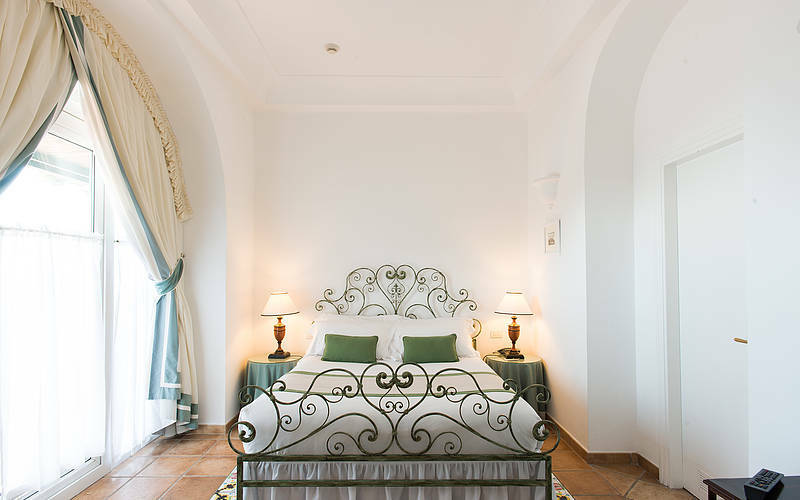 Hotel Caesar Augustus Capri: 3 reasons to book here | Capri Booking. 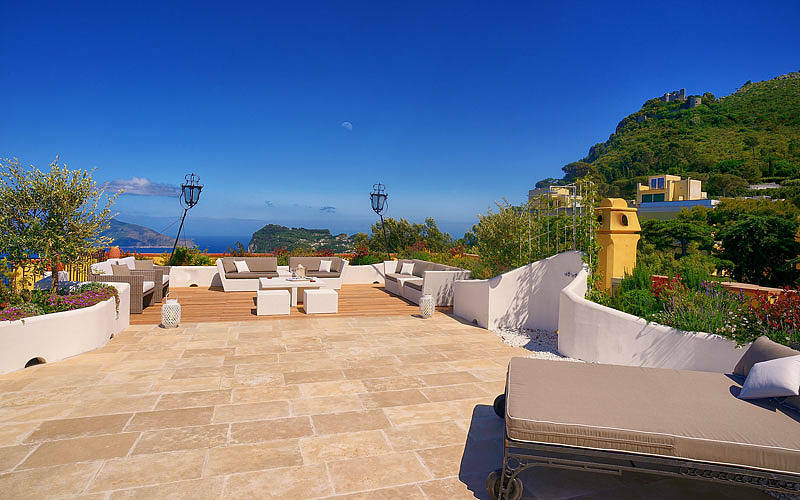 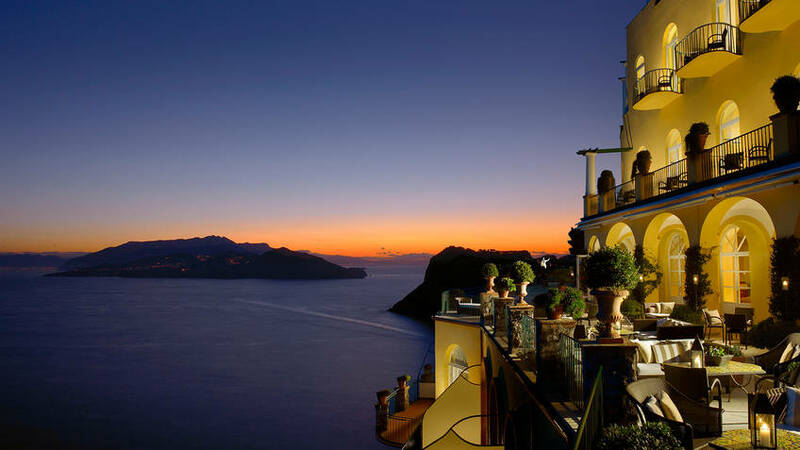 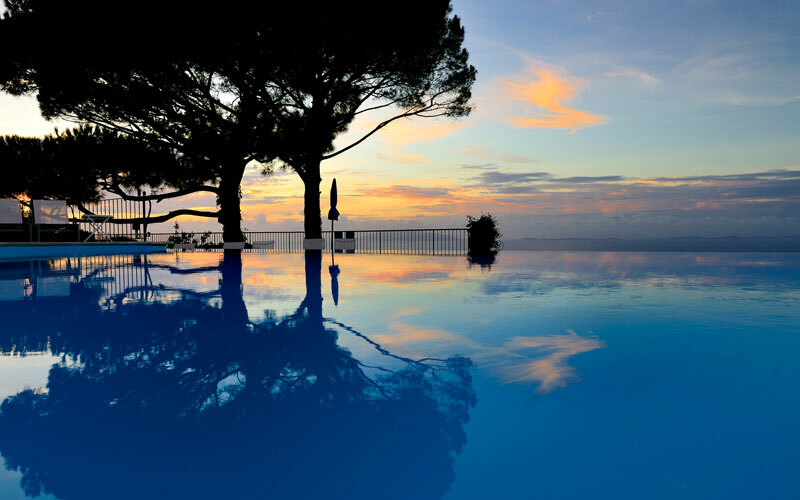 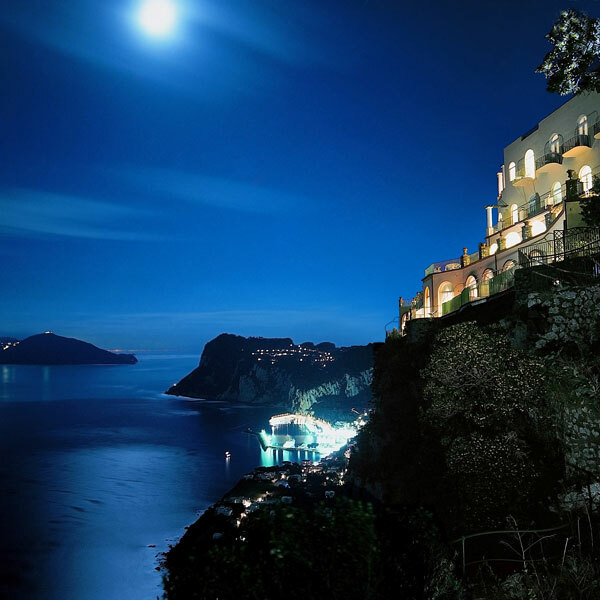 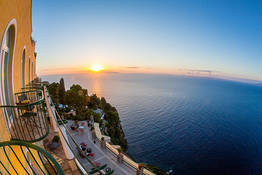 Perched on the cliff edge, towering 1000 feet above sea level, Capri's Hotel Caesar Augustus boasts a panorama which is, arguably, the most spectacular of any hotel in Europe, if not the world. 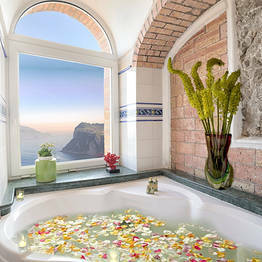 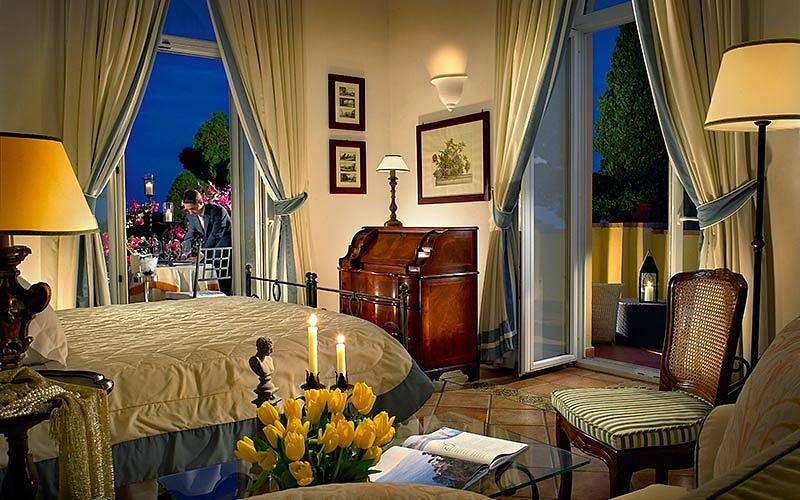 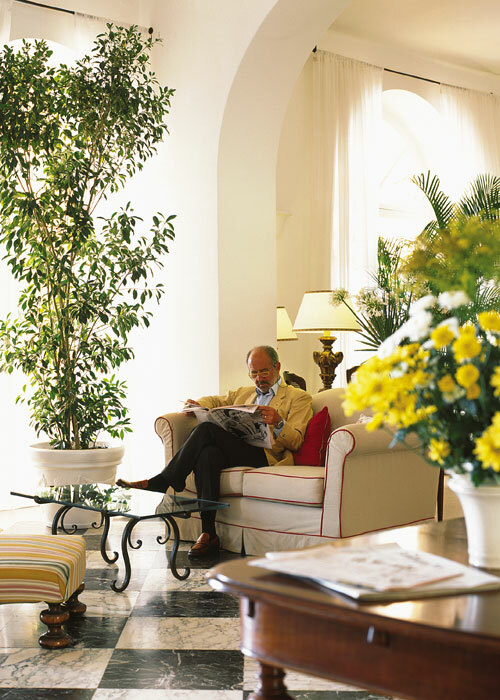 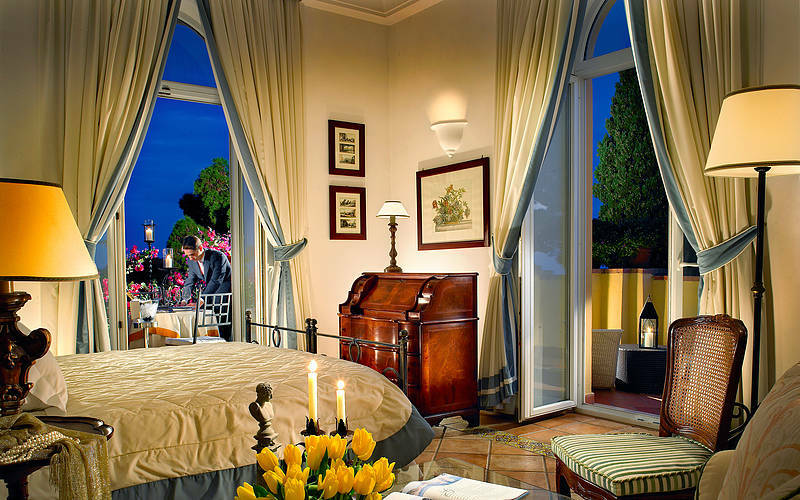 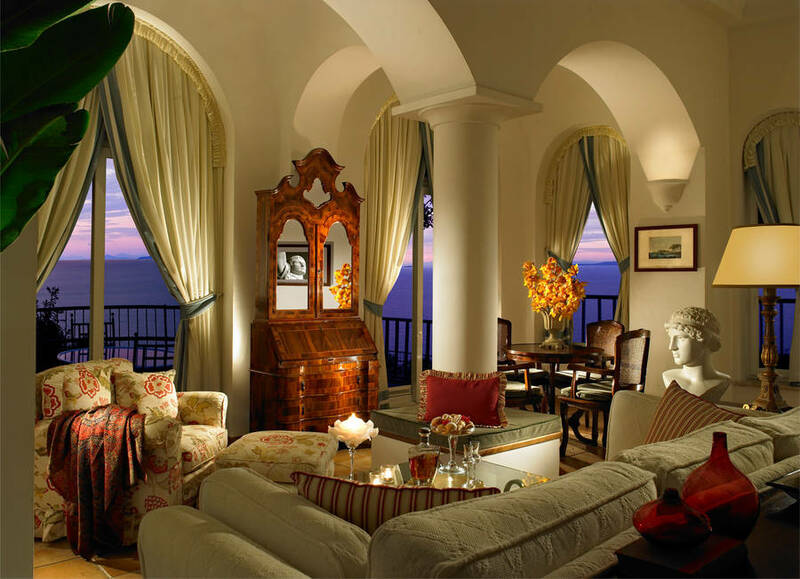 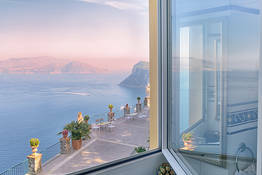 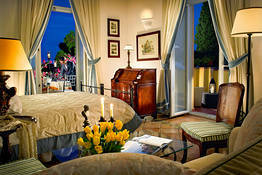 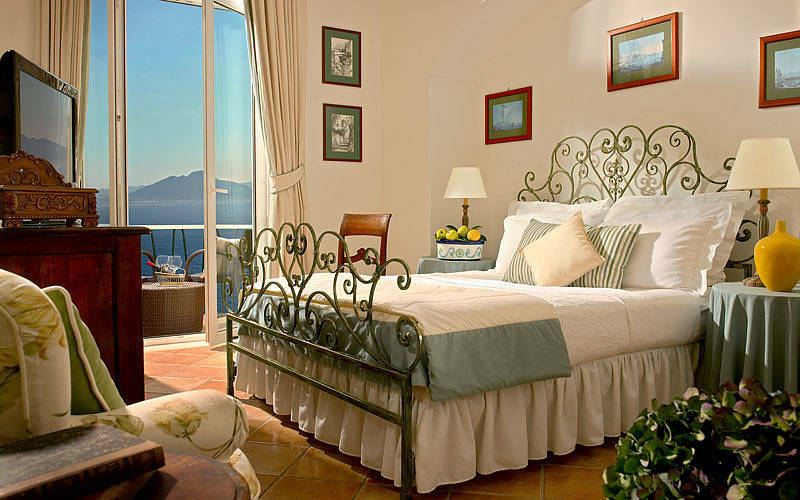 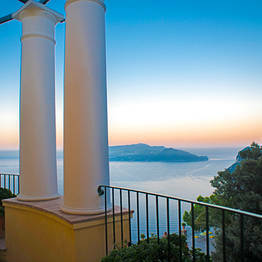 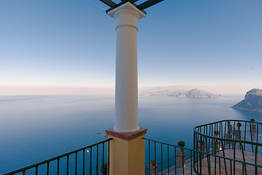 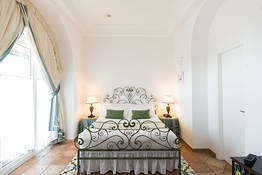 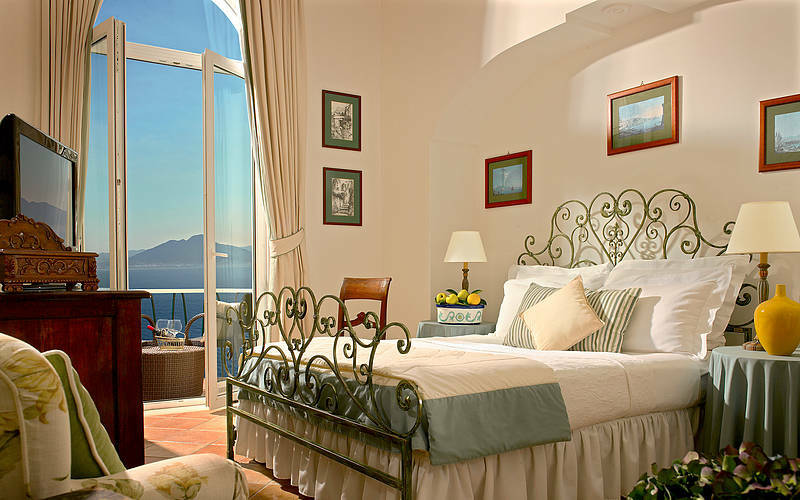 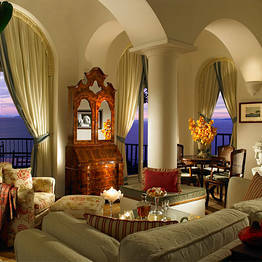 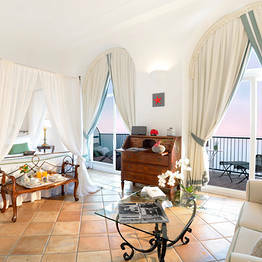 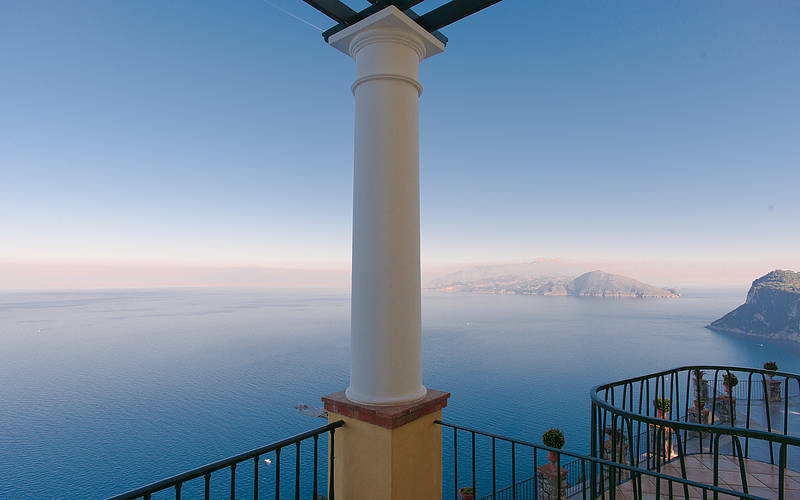 From each of the hotel's sun-drenched terraces and beautifully appointed bedrooms and suites, sweeping views over the entire Bay of Naples, Mount Vesuvius, Sorrento and the neighboring island of Ischia can be seen - the same views which bewitched the celebrated novelist Axel Munthe whose villa can be found just meters away from the hotel. 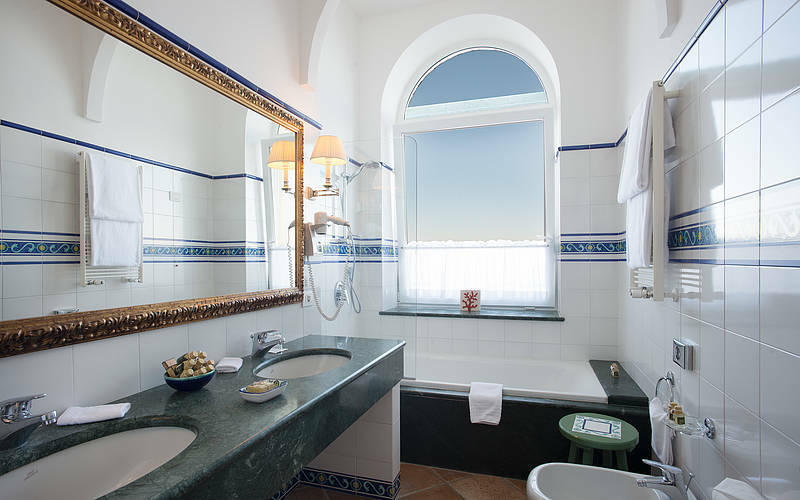 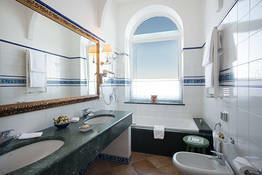 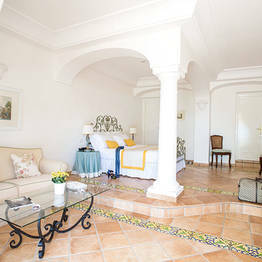 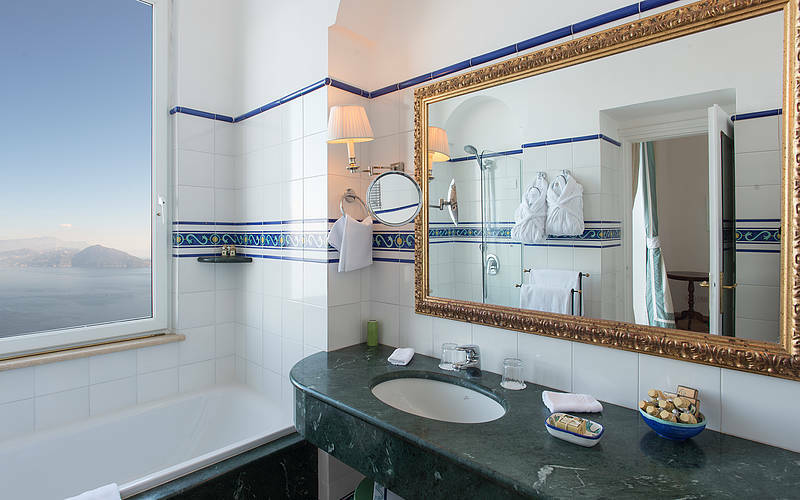 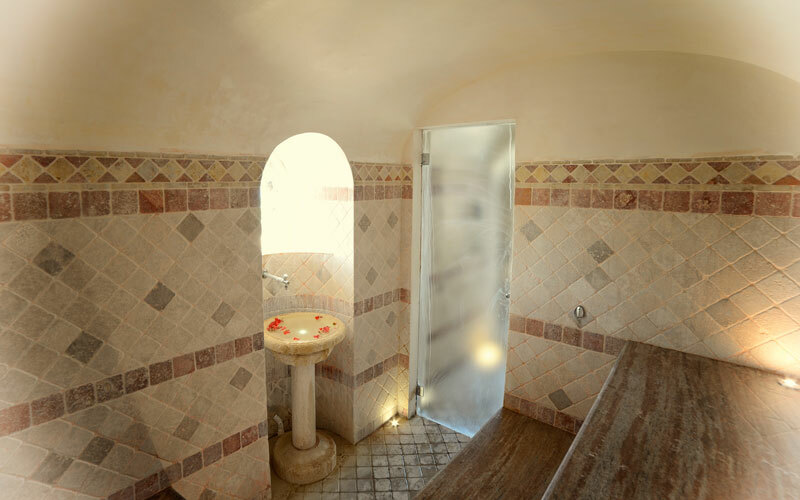 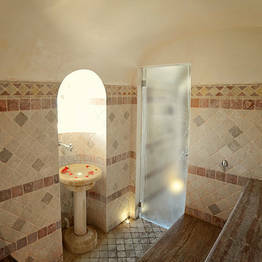 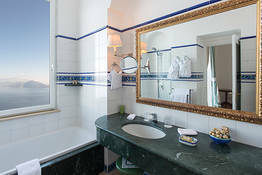 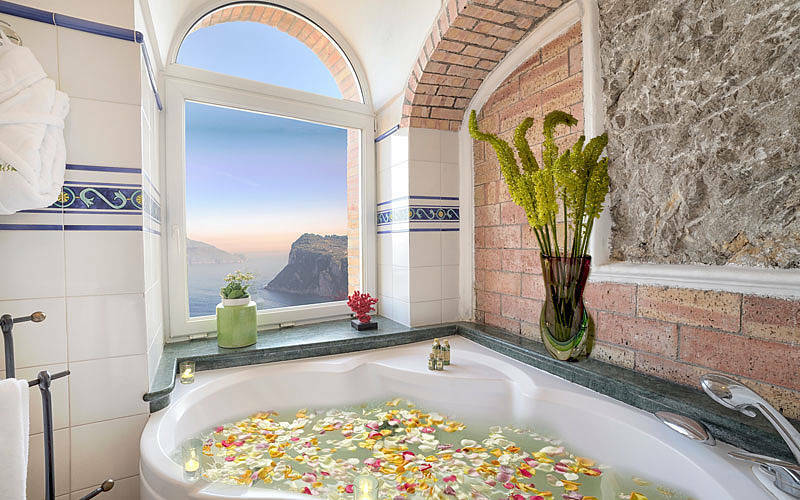 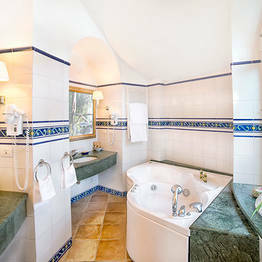 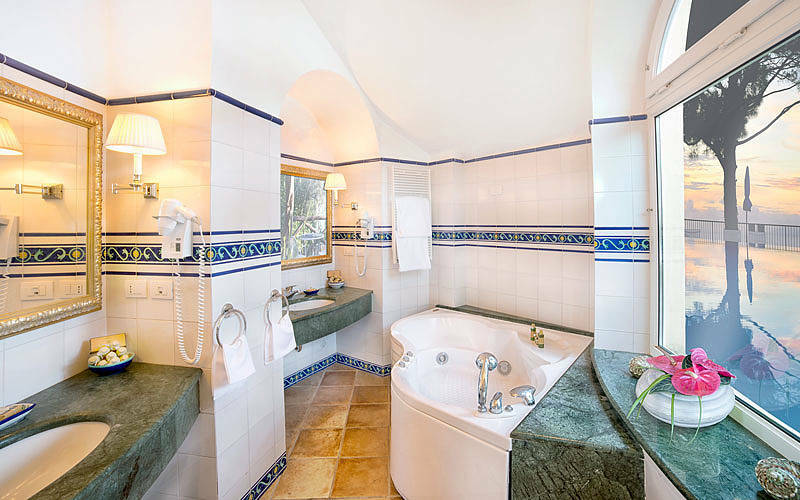 Individually decorated with antiques and artworks from the owners' private collection, Caesar Augustus's Master suites come complete with a full range of top-notch amenities, luxurious marble bathrooms with jacuzzi tub and massive terraces where guests can soak up the sun surrounded by amazing views of the sea surrounding Capri. 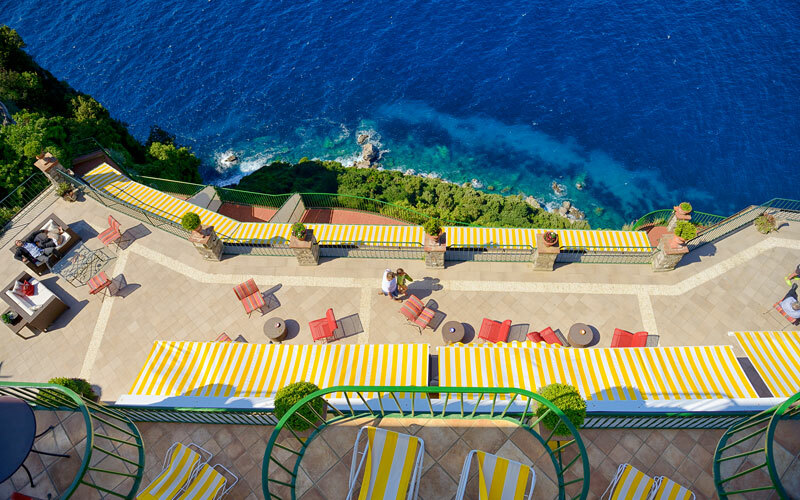 One of the hotel's most talked-about features, Caesar Augustus' double-level infinity pool has been cleverly designed to create the illusion of merging into the sea beyond. 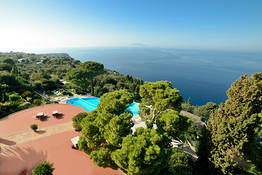 This is where guests spend much of the day, swimming and basking in the Mediterranean sun. 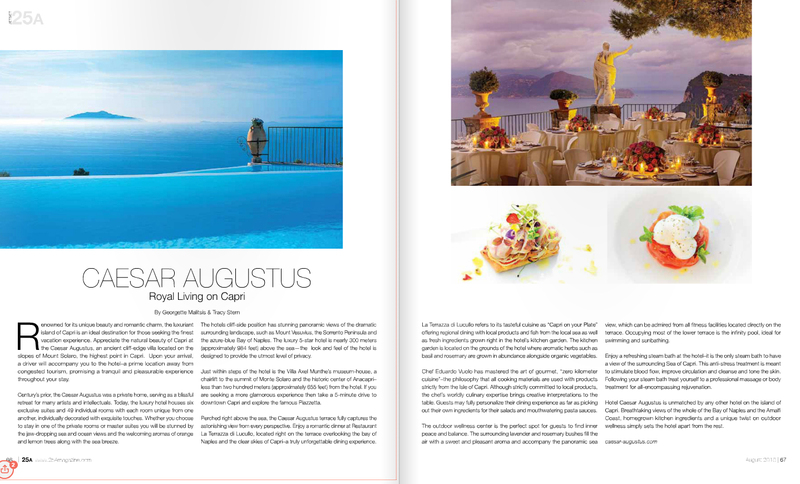 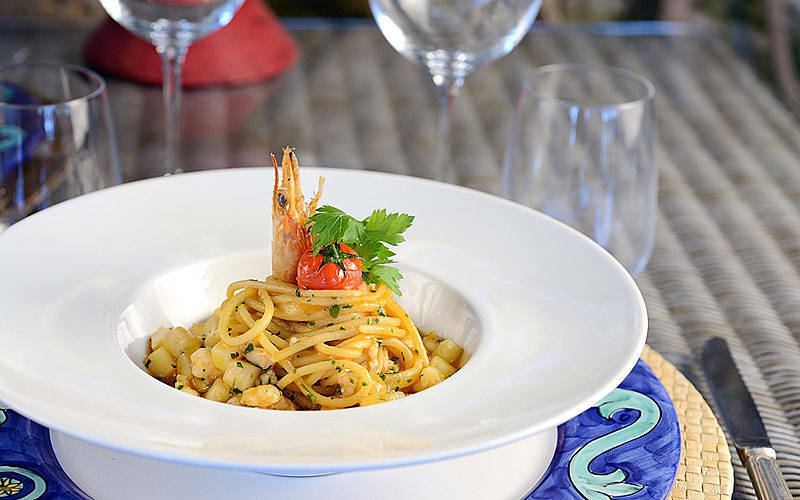 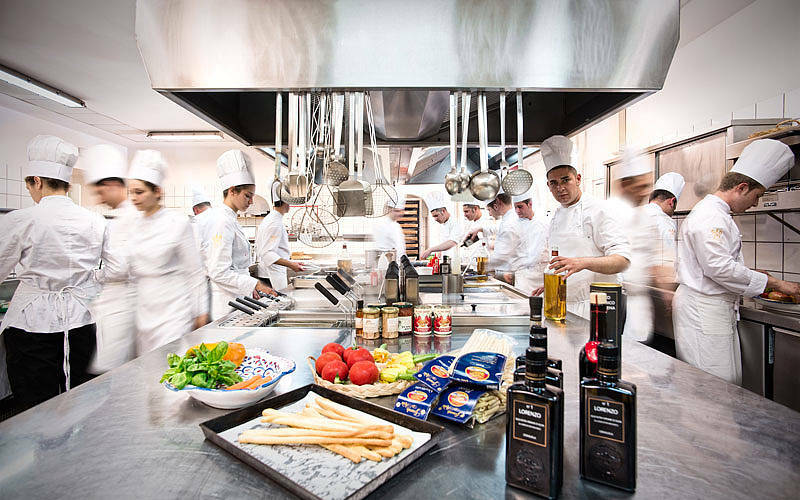 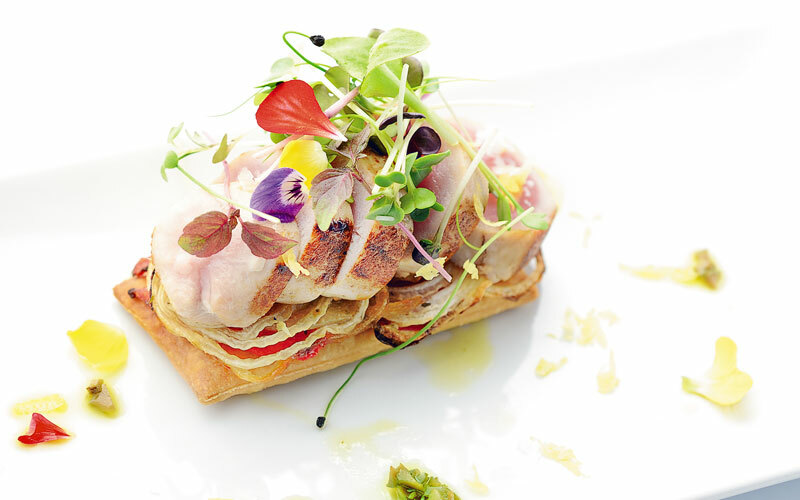 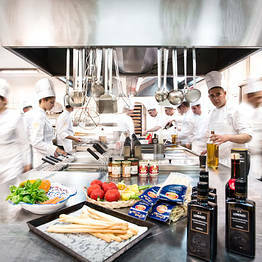 Clients will find it hard to resist the flavor-packed cuisine served in Caesar Augustus' "La Terrazza di Lucullo" restaurant. 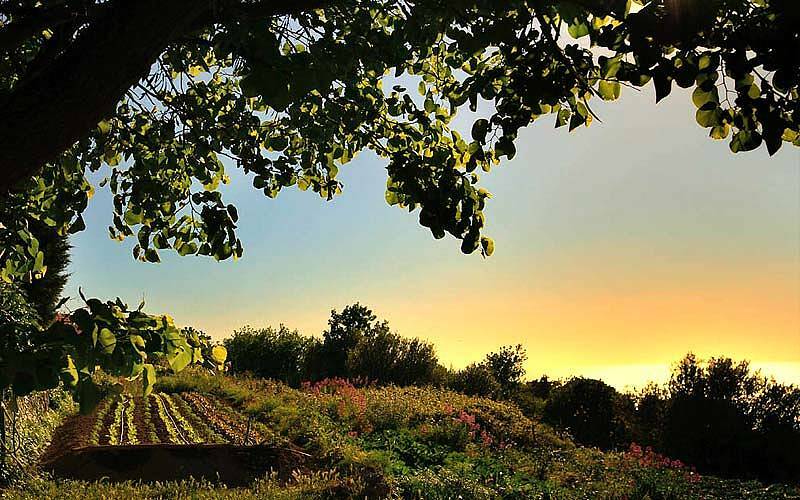 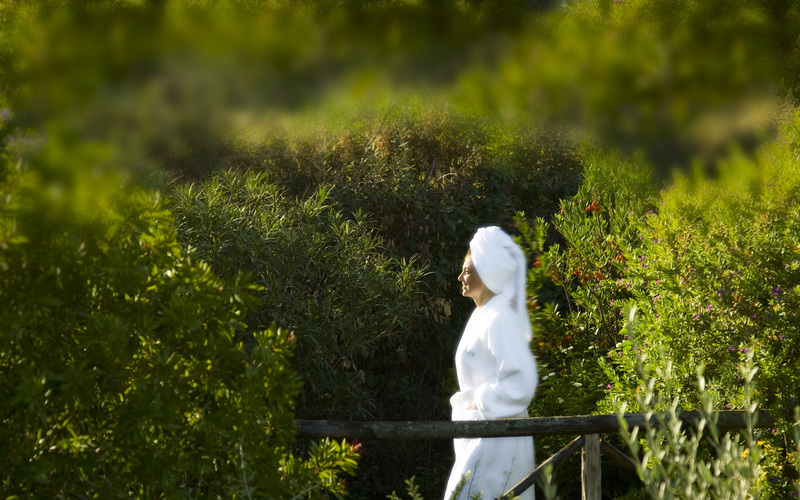 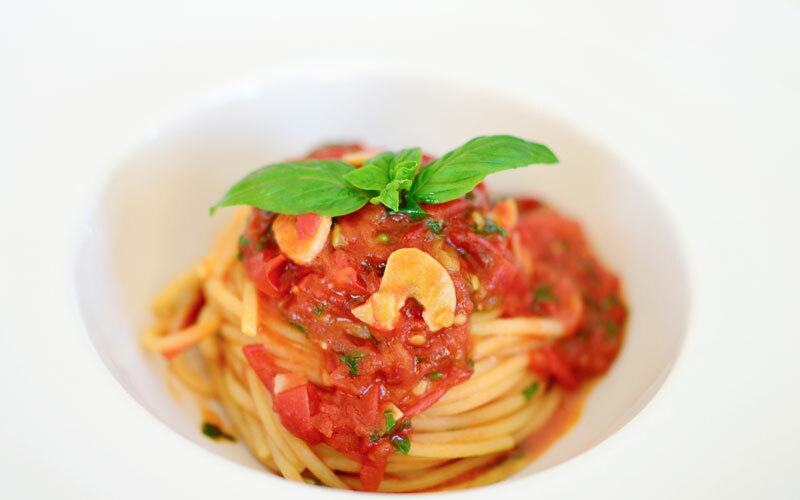 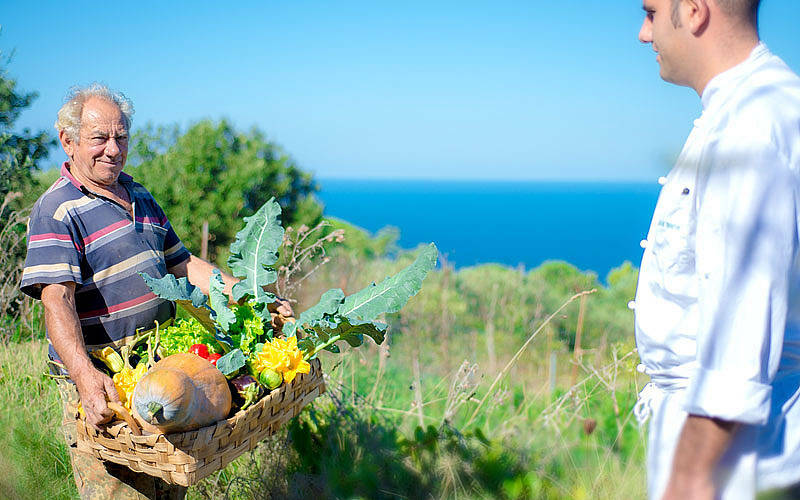 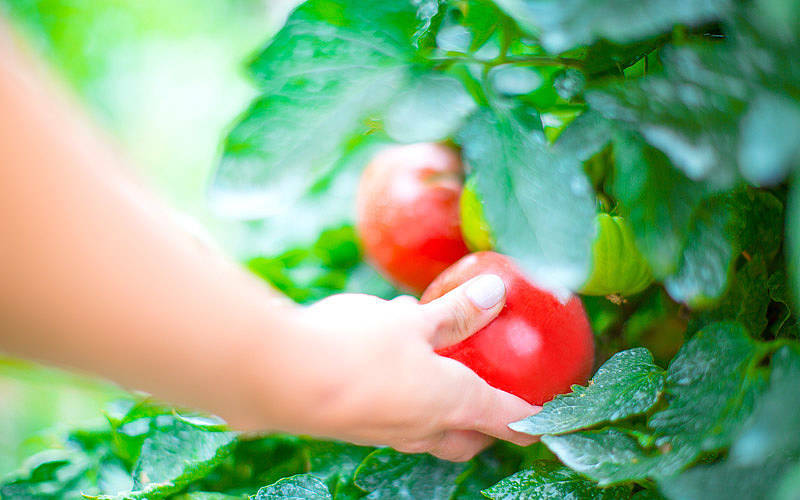 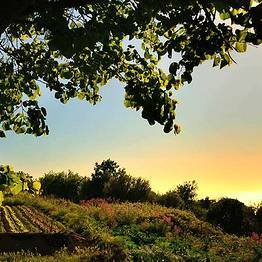 Here, in the most romantic of settings, guests are presented with a menu featuring a combination of traditional regional specialties and exciting, contemporary Italian dishes, much of which is made with the ingredients grown in the hotel's large organic kitchen garden. 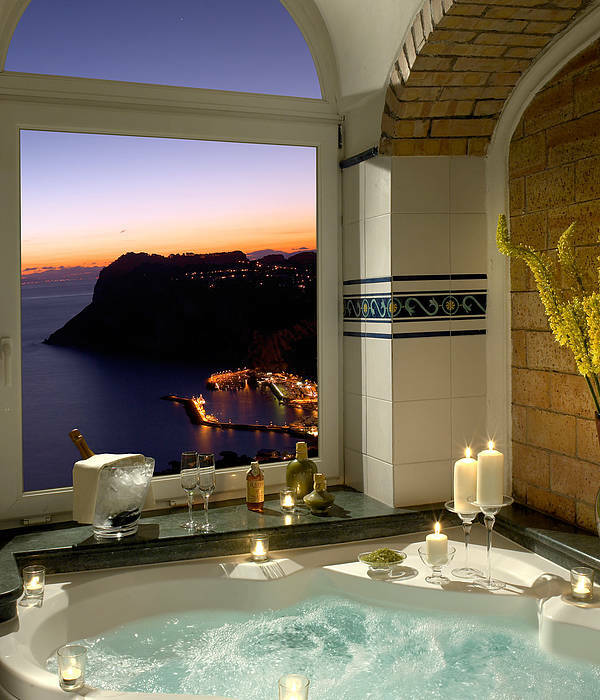 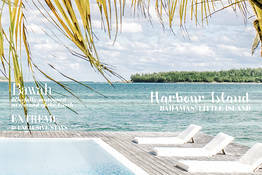 "Fantastic if you're on your honeymoon." 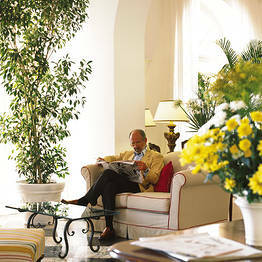 "From the quality of the upholstery to the choice of accessories, attention to detail is paramount. " 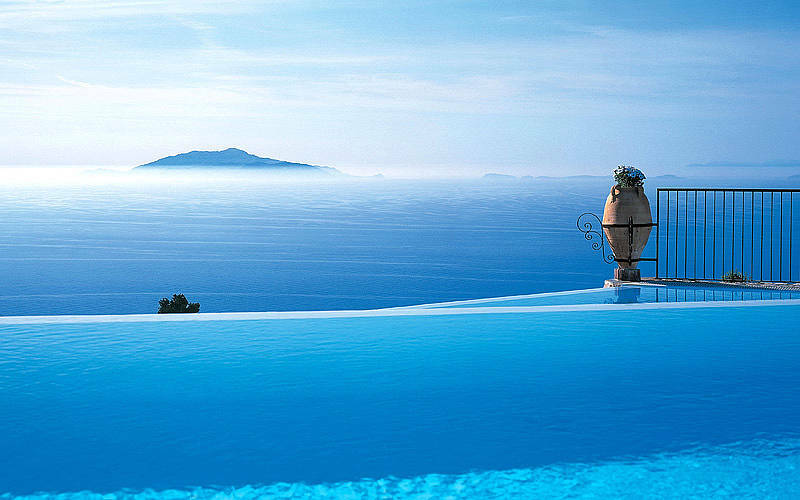 "The two level infinity swimming pool, perched directly above the sea, has to be one of the most spectacular in the world. " 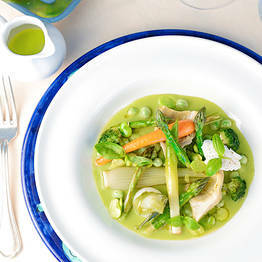 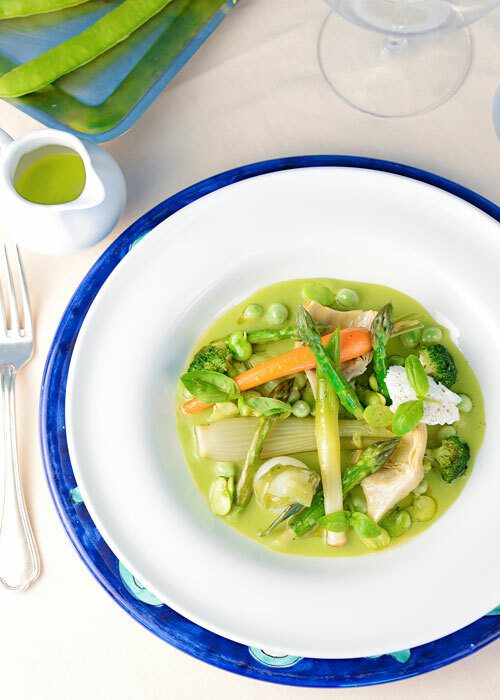 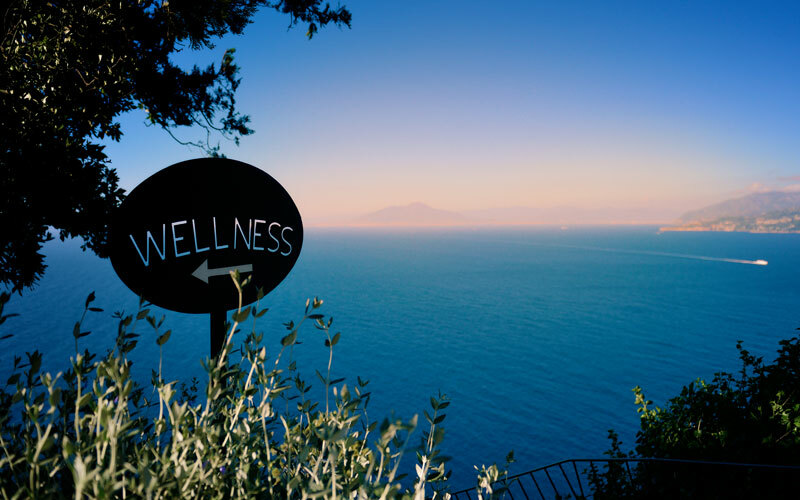 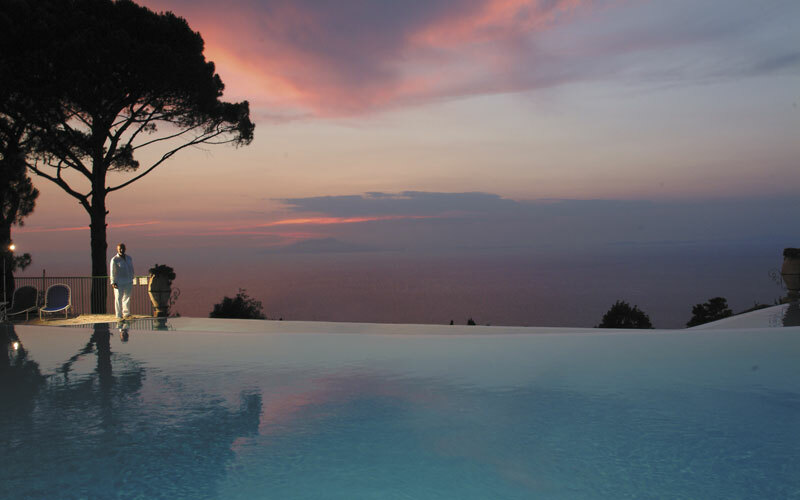 "The location in Anacapri is great, far from the chaos and the crowds of Capri." 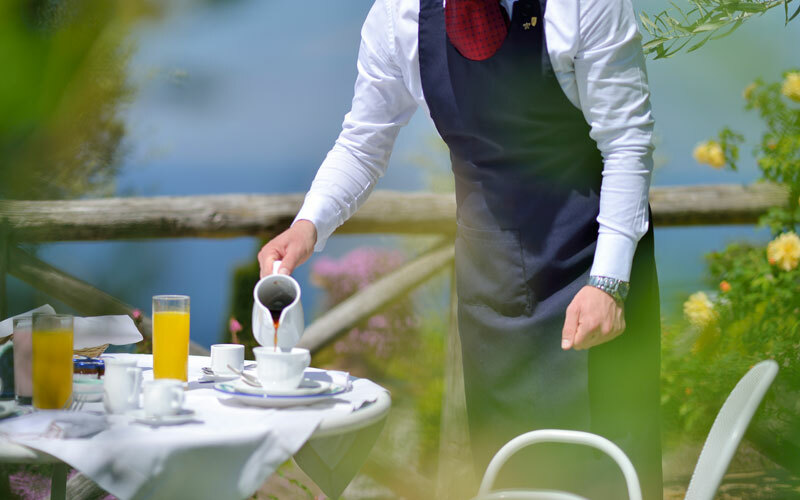 "Service was courteous, never affected. " 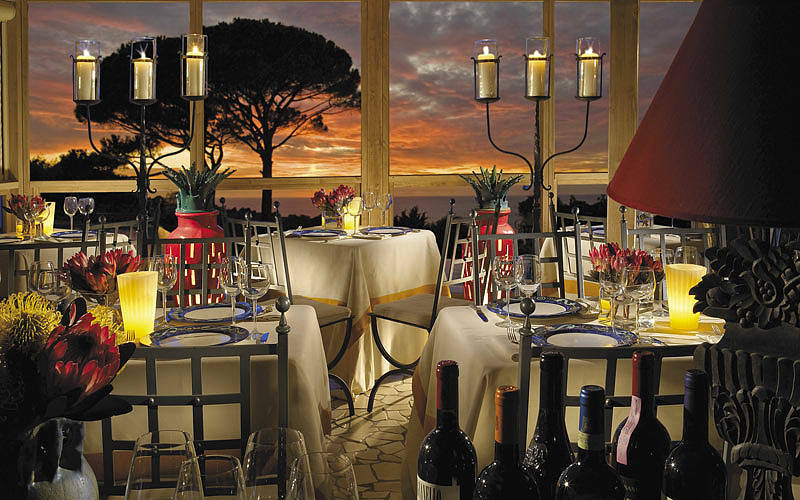 "Everybody really went the extra mile for their guests. 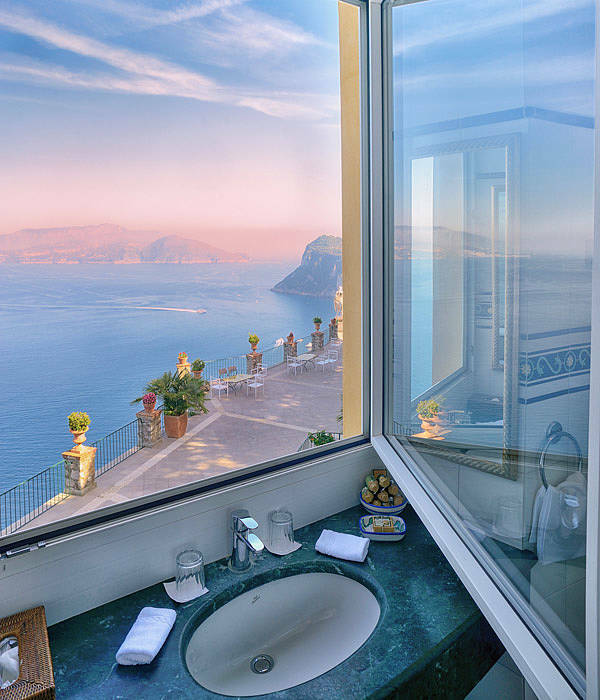 Excellence is everywhere." 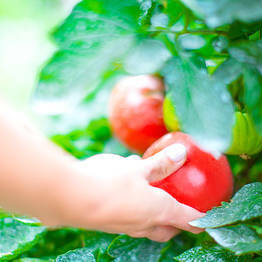 "Felt cared for from the moment they picked us. 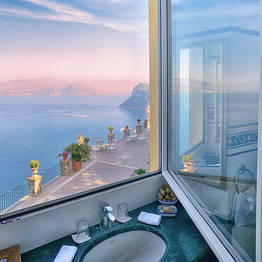 I cried with joy when I saw our room, The view was breathtaking. 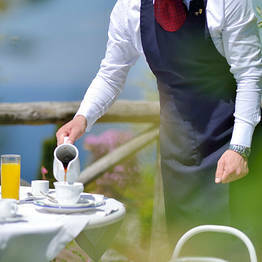 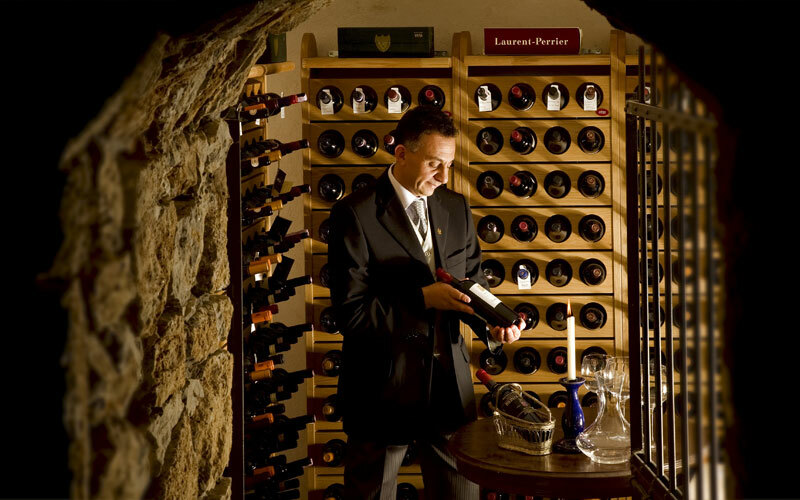 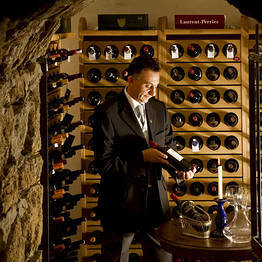 Service impeccable. 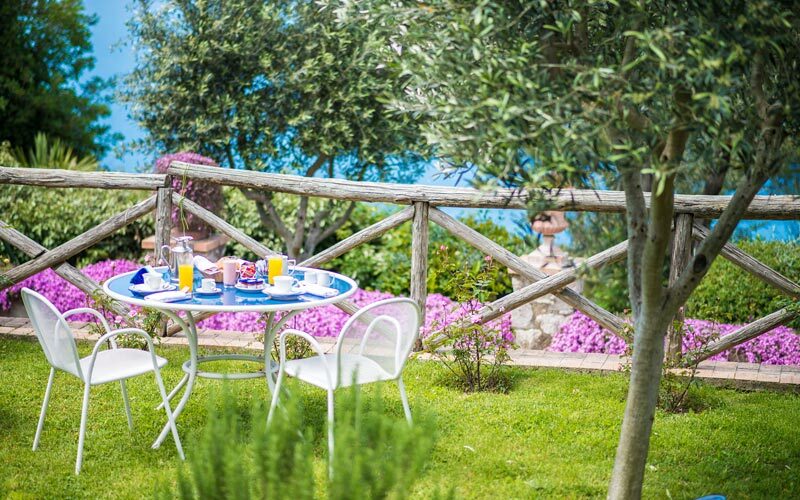 Breakfast/Lunch best in Italy. 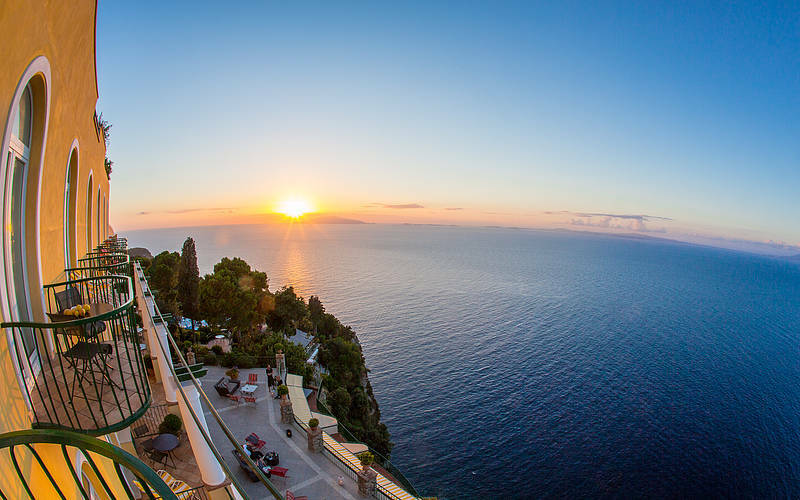 Sunset/sunrise awesome MUST GO! " 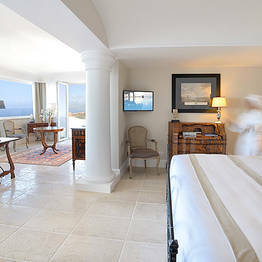 "marvelous rooms with a truly unique view, an experience not to be missed - it's a huge bonus that the hotel is never crowded, or noisy - excellent reception staff, extremely professional"
"This was without a doubt the most beautiful hotel I have ever visited; the grounds, rooms, dining, pool - and the view both from the hotel outward and from the sea below up to the hotel. 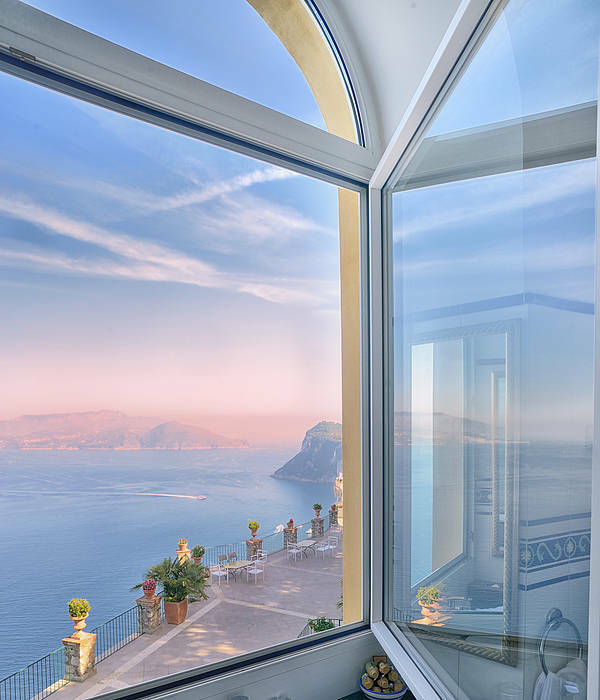 Stunning." 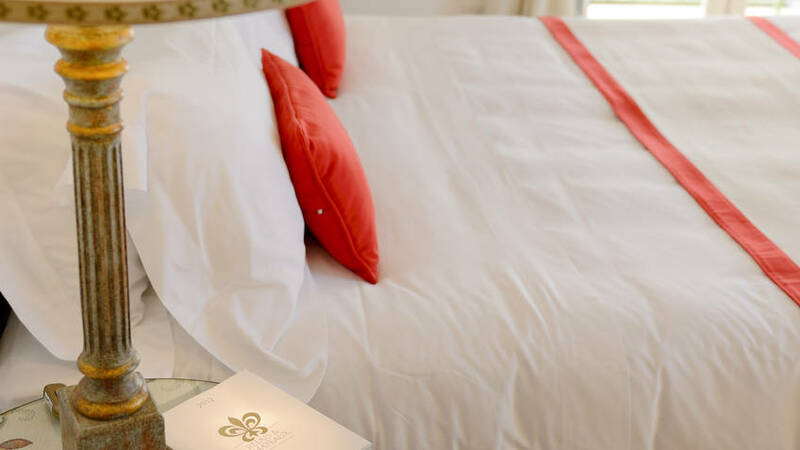 "Perfect location, only quibble would be to order room service, allow plenty of time for delivery." 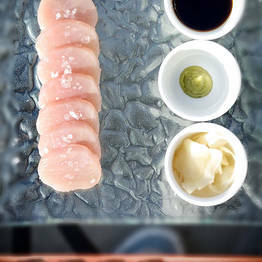 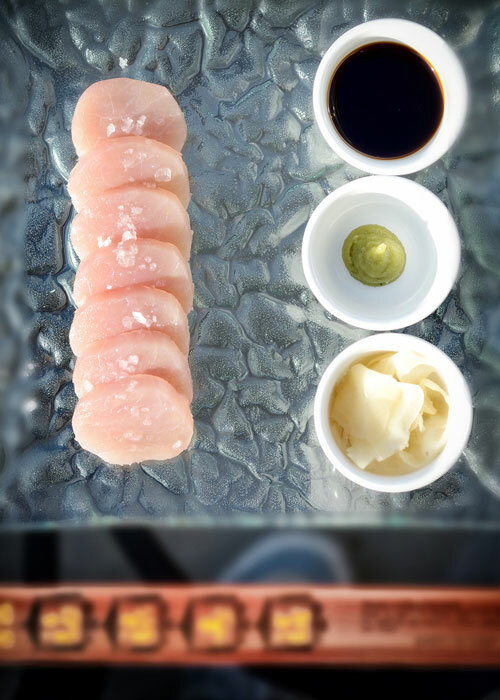 "My observations are that the restaurant manager and the chef make one of the best front of the house/back of the house combinations I have ever seen. 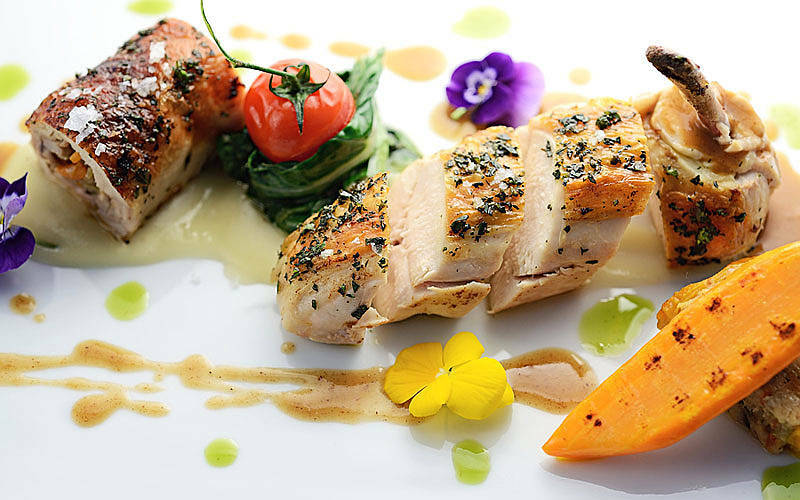 The meal was phenomenal. " 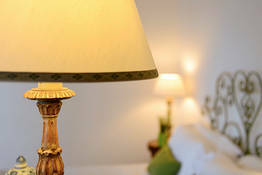 "Staff was very nice, helpful and efficient. 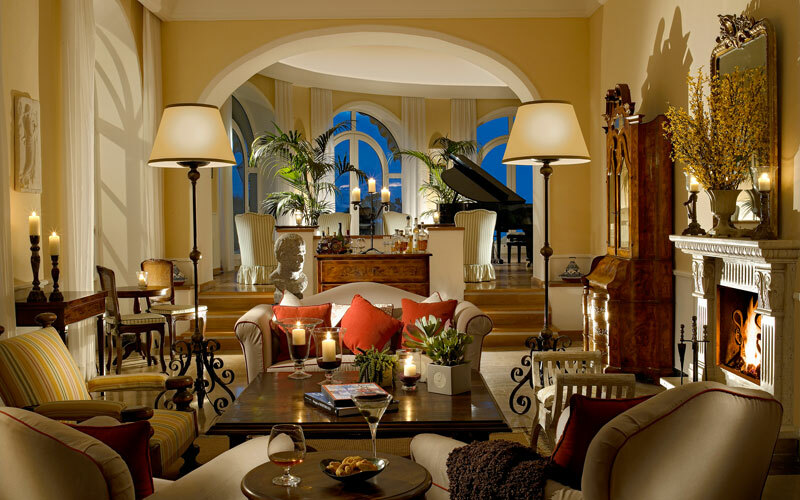 Love the casual chic atmosphere. 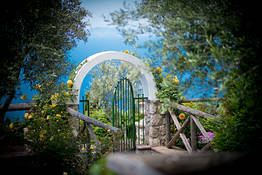 Location and grounds are gorgeous. 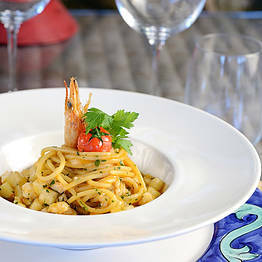 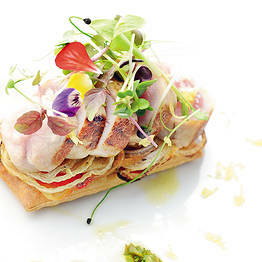 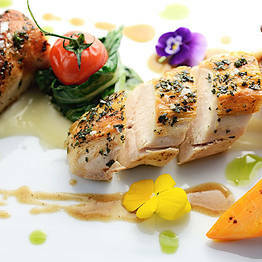 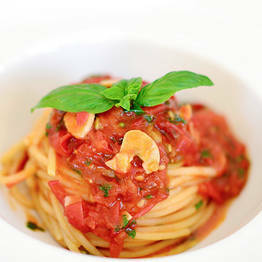 Can add a few casual dishes to the lunch menu at the restaurant by the pool. 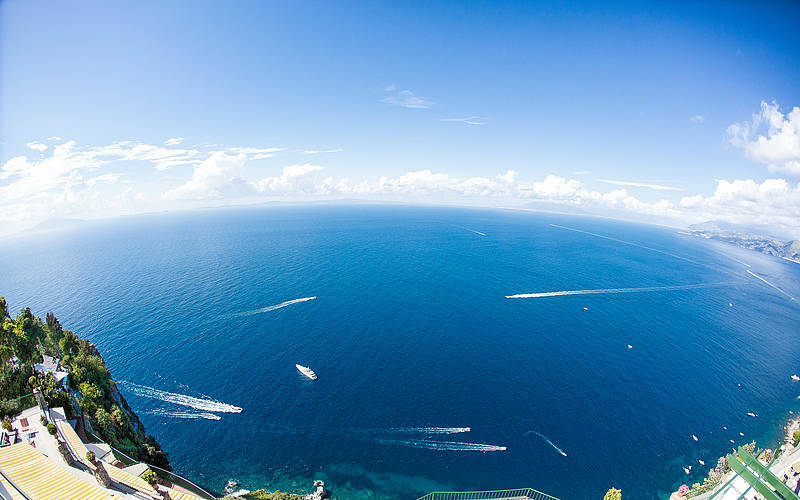 Going back." 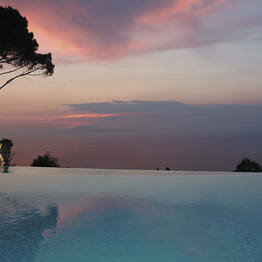 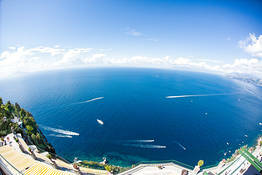 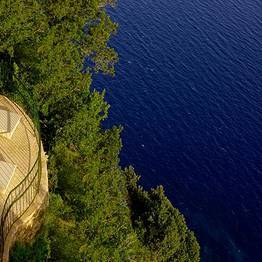 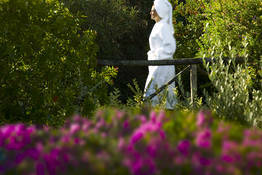 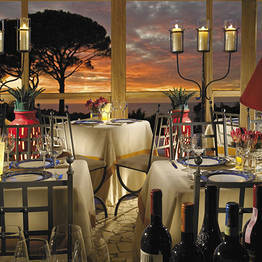 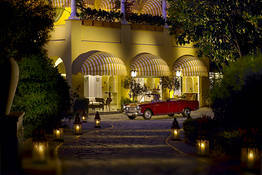 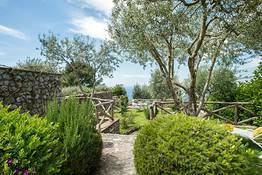 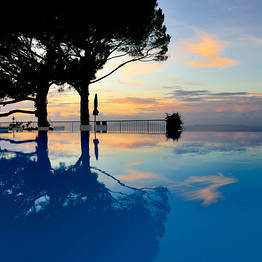 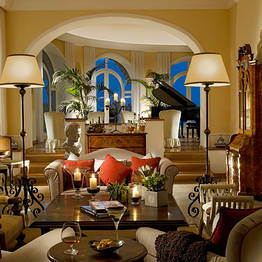 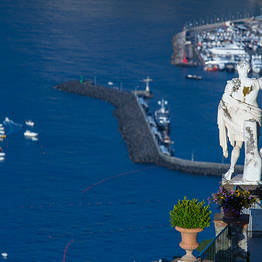 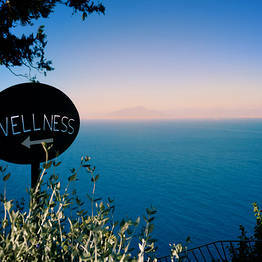 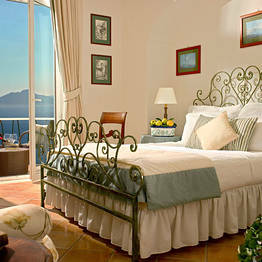 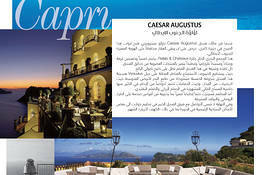 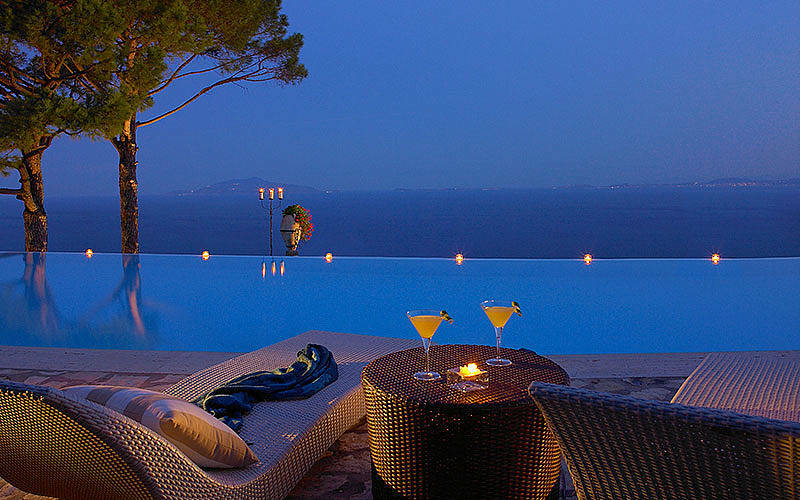 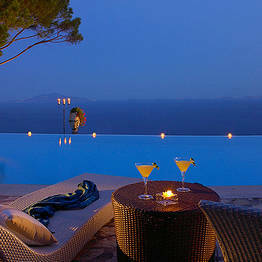 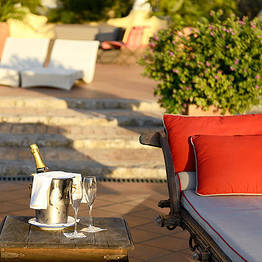 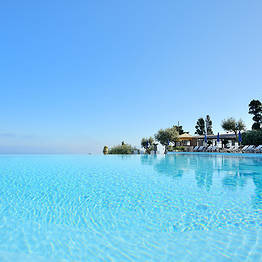 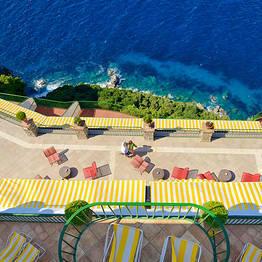 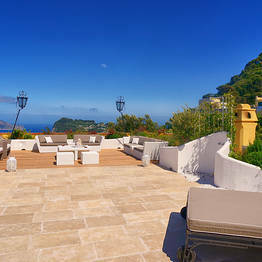 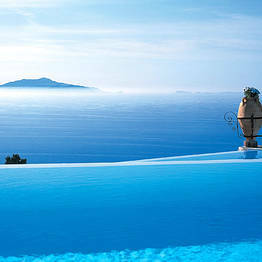 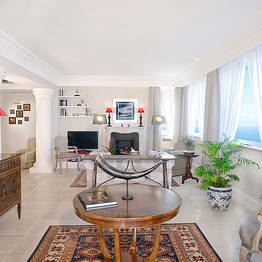 Book Hotel Caesar Augustus on Capri.com now with no additional booking fees.